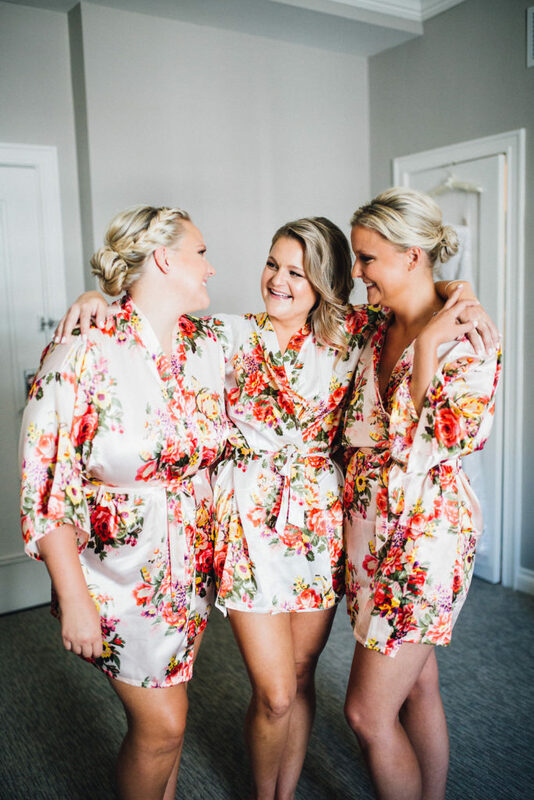 For those who don’t know, I have younger twin sisters – Kim and Jenna. 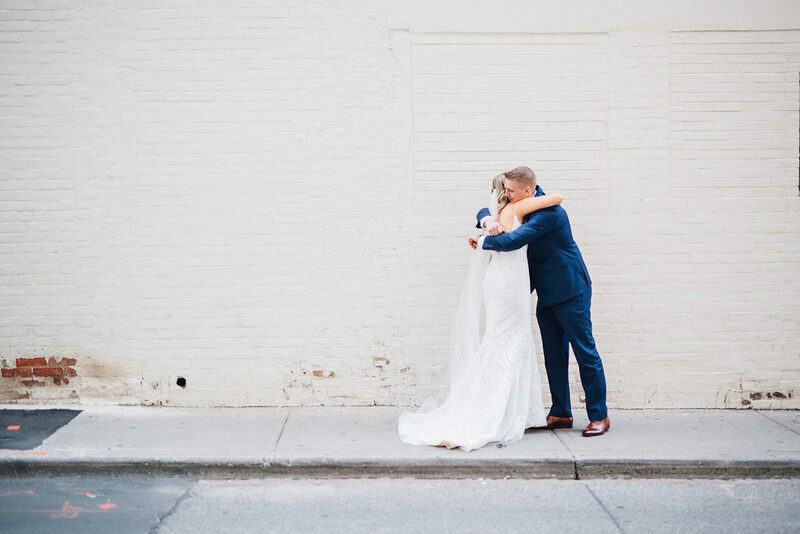 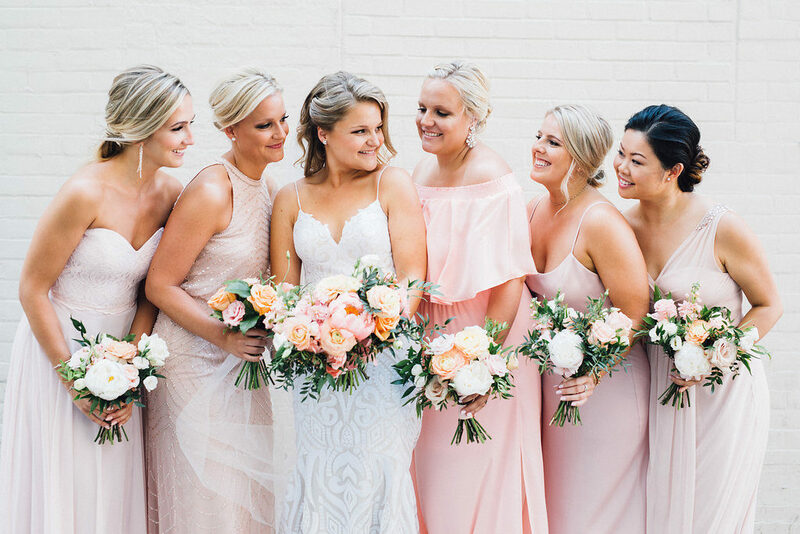 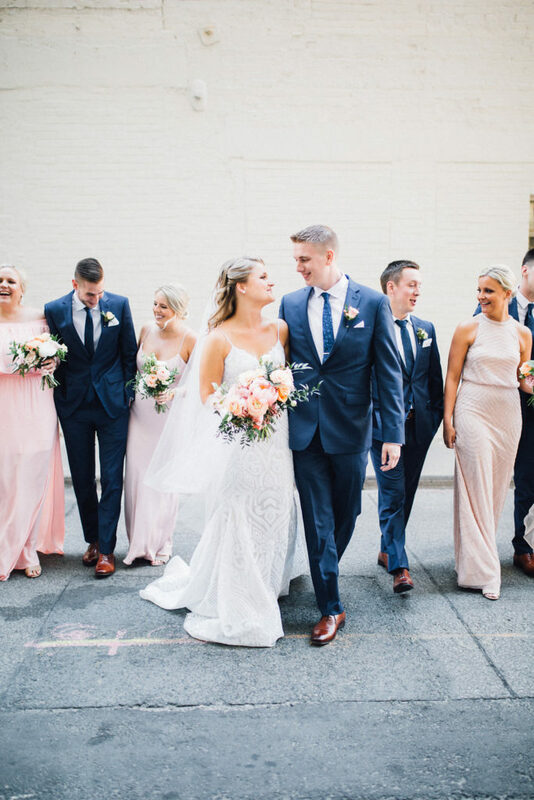 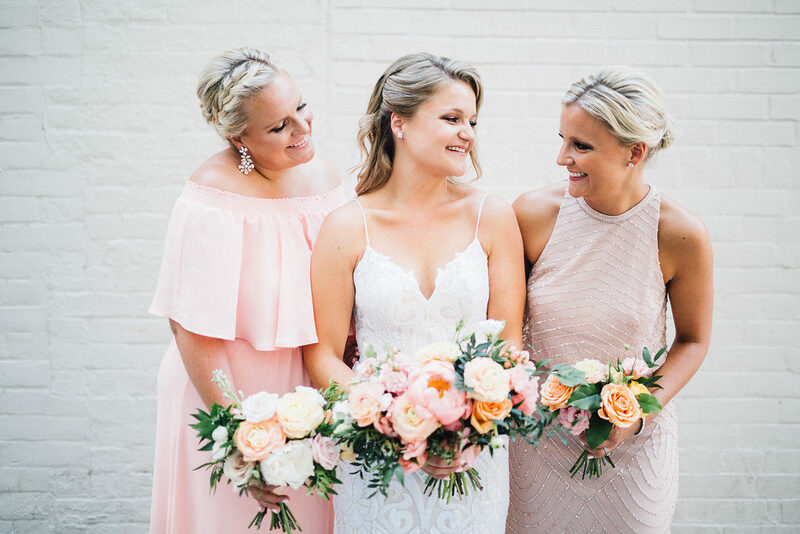 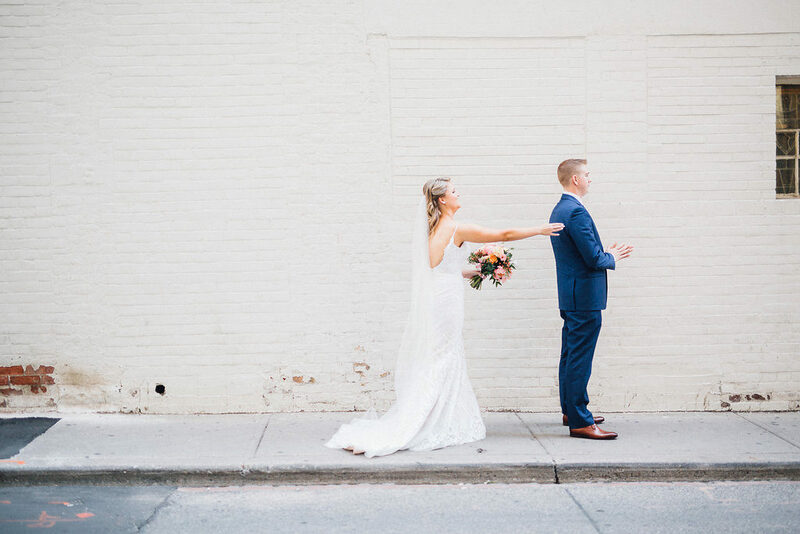 They are different in just about every way possible, so when it came to helping with the planning and design of their respective weddings, I knew they would be anything but the same. 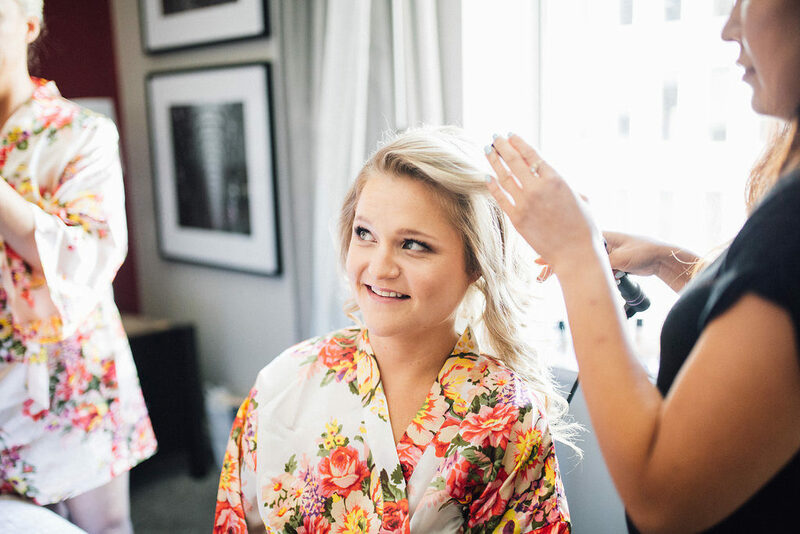 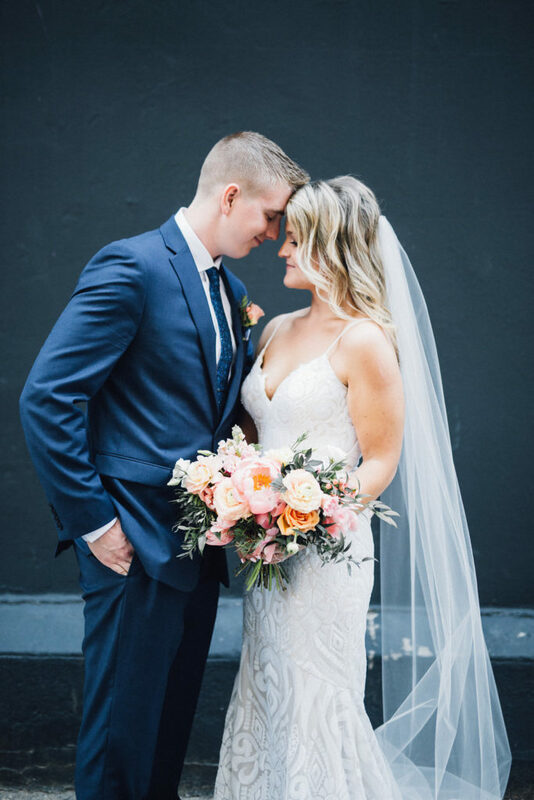 Jenna had a classically beautiful black, white and gold Winter wedding on New Year’s Eve (which you can see here), while Kim’s vision was a bright, colourful, whimsical Summer wedding. 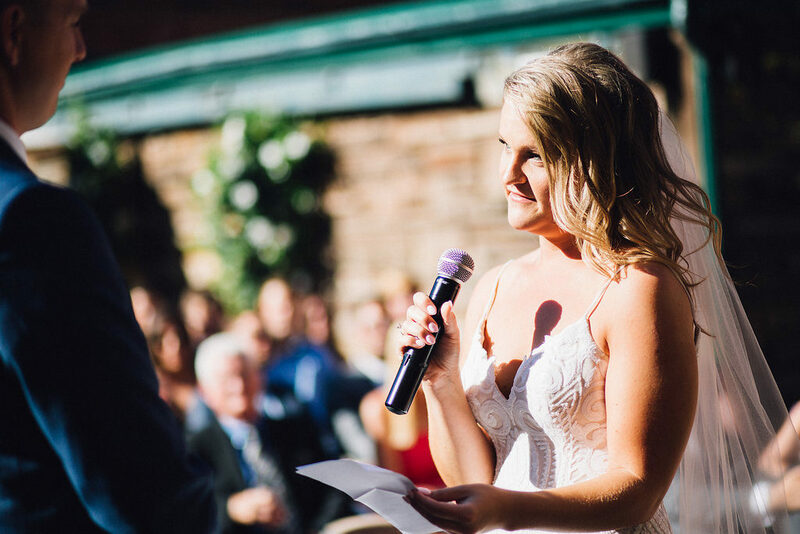 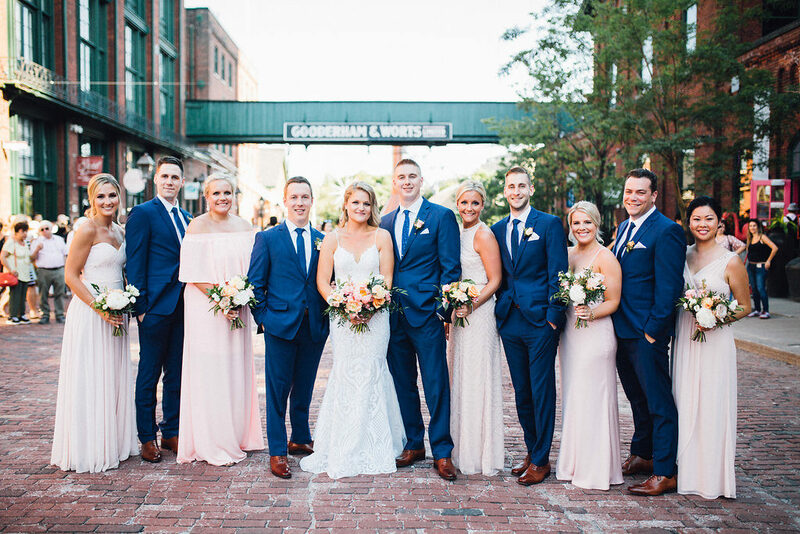 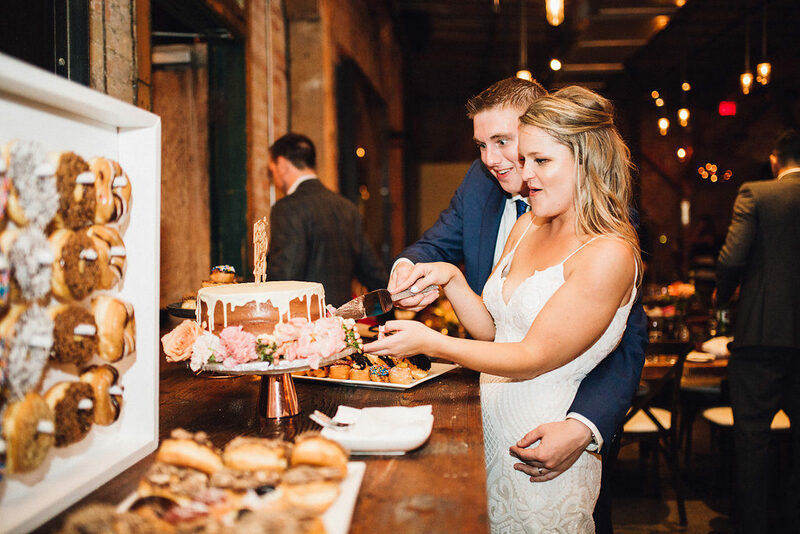 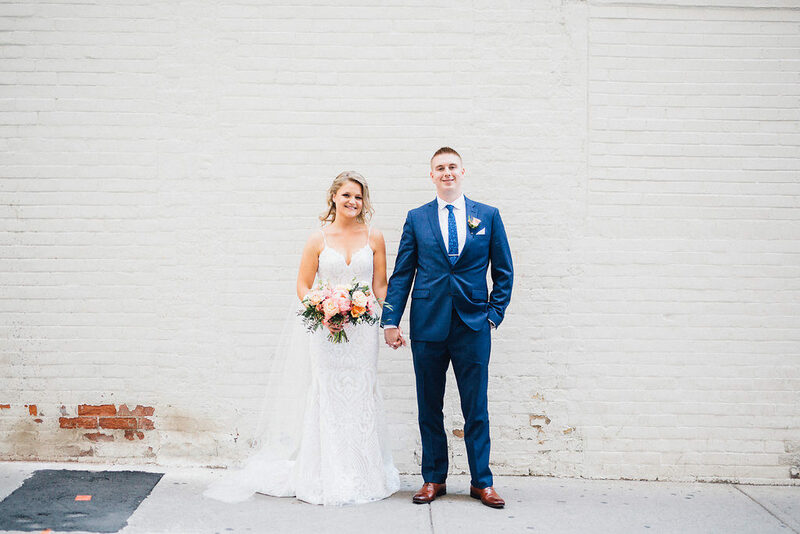 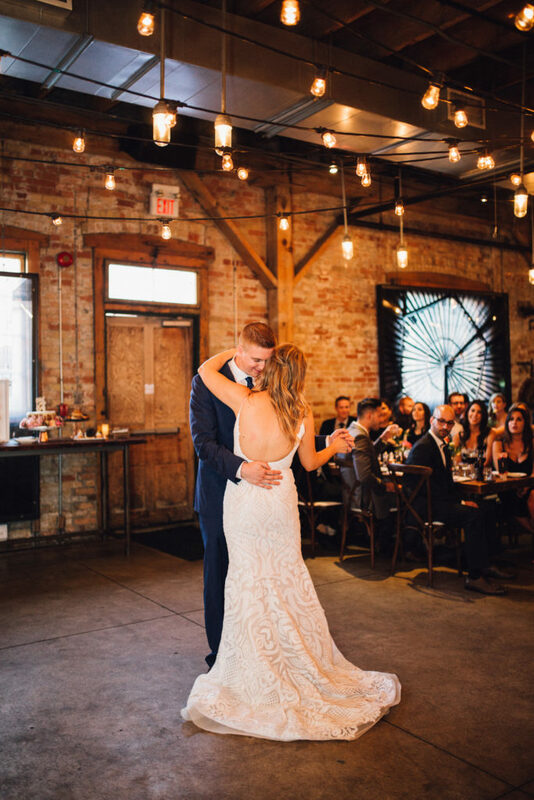 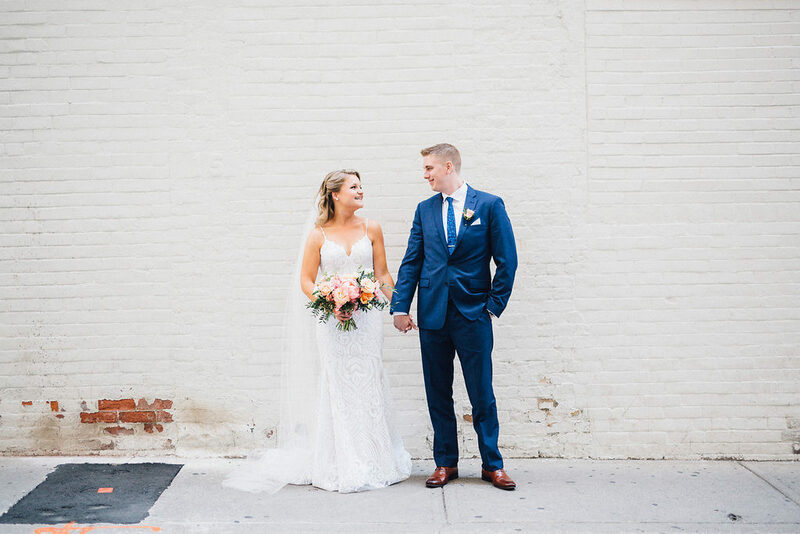 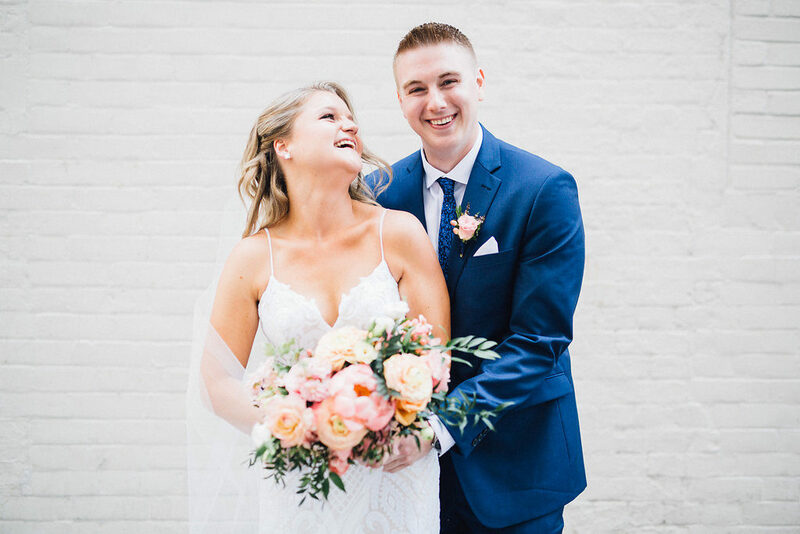 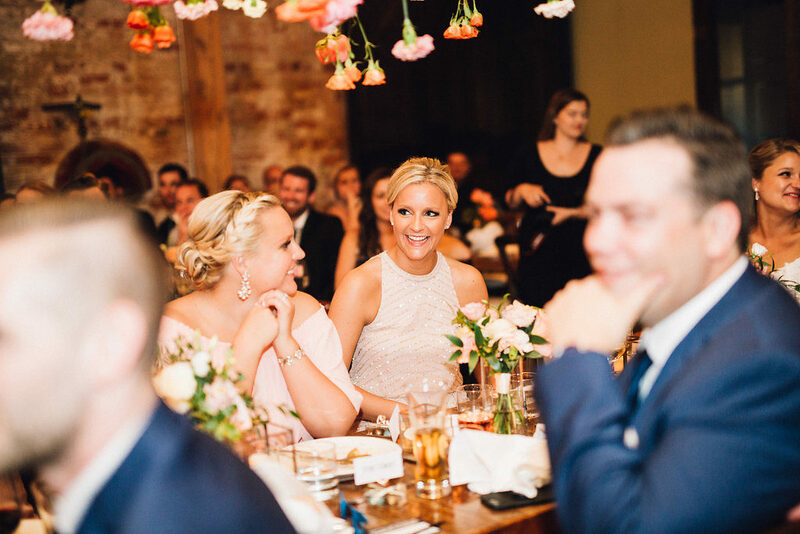 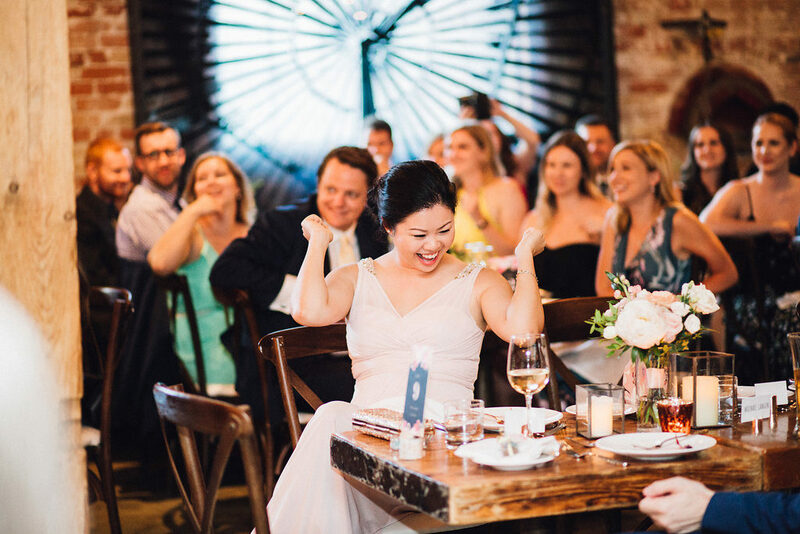 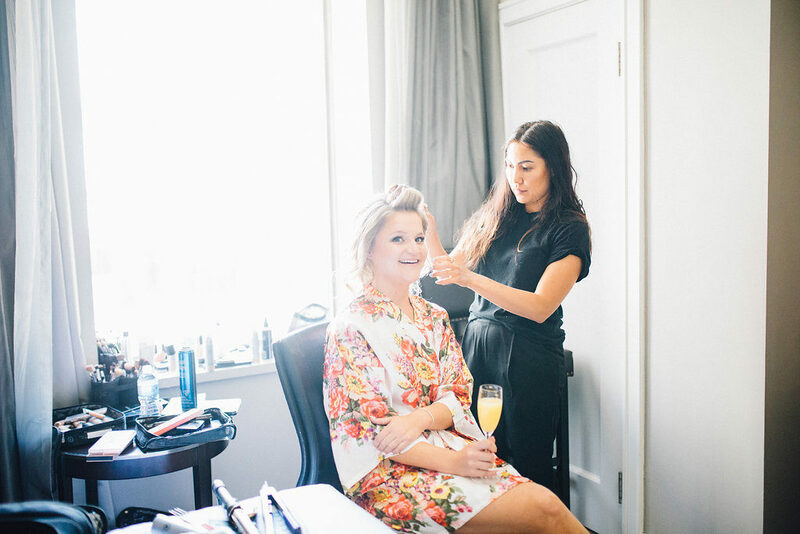 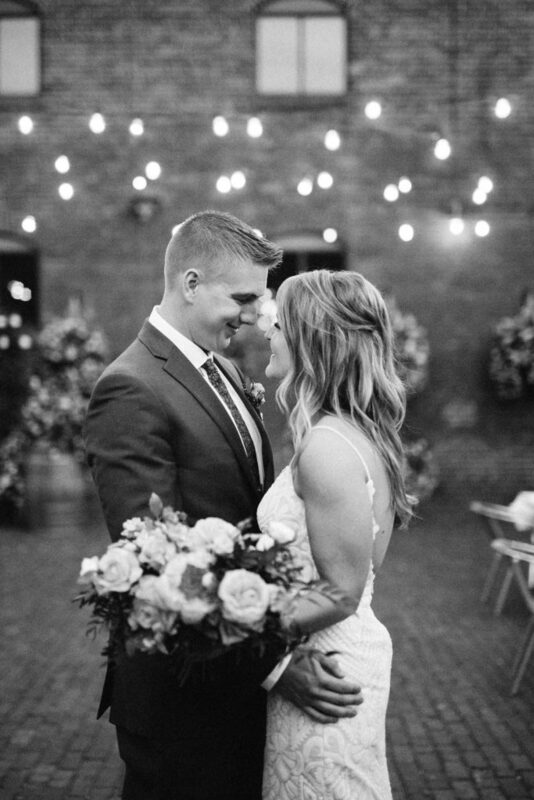 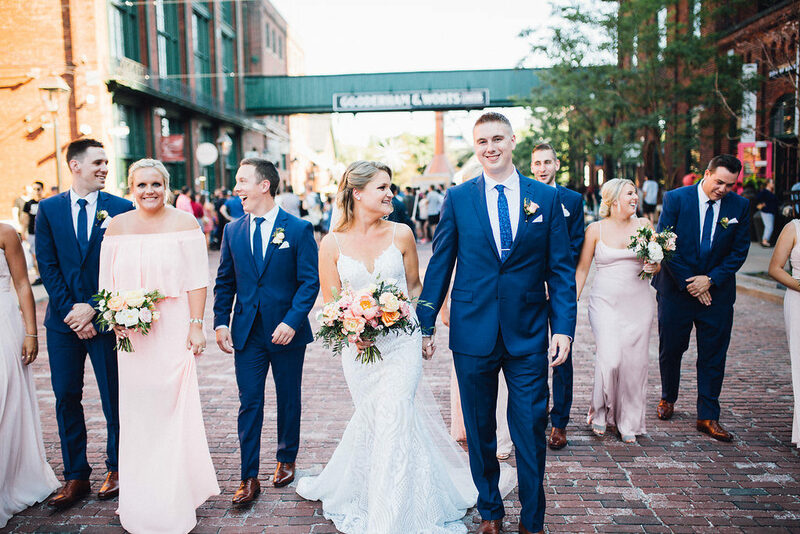 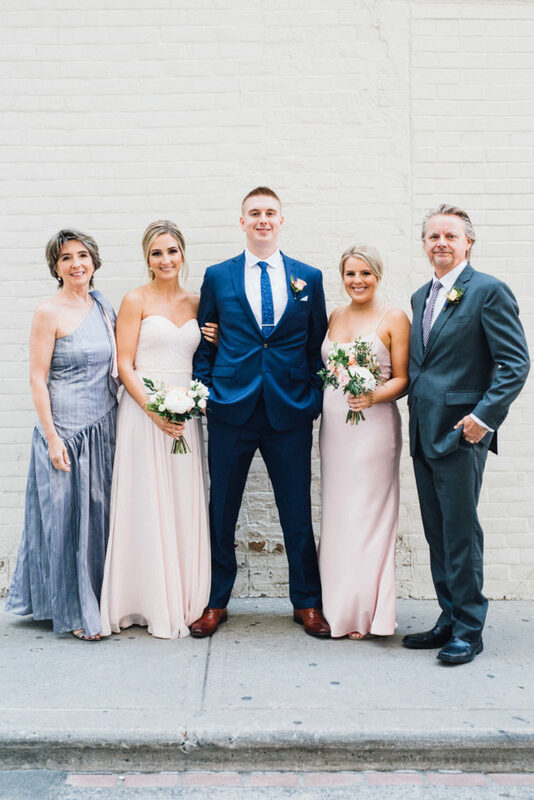 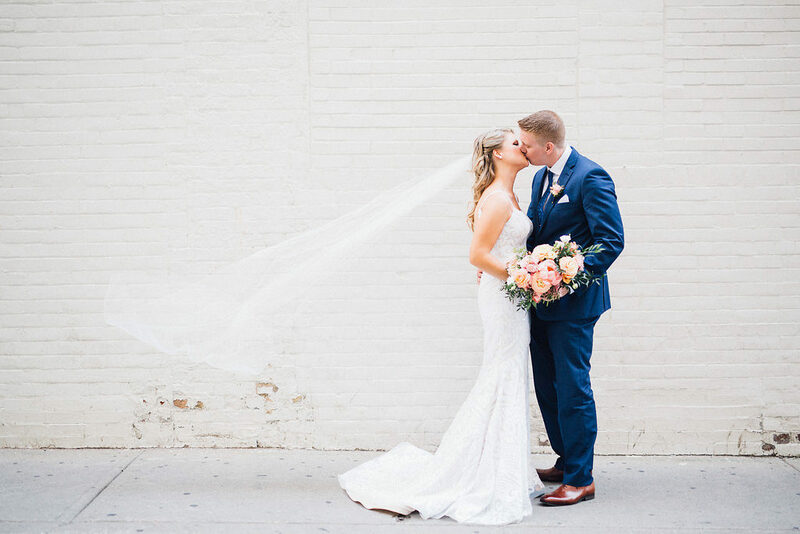 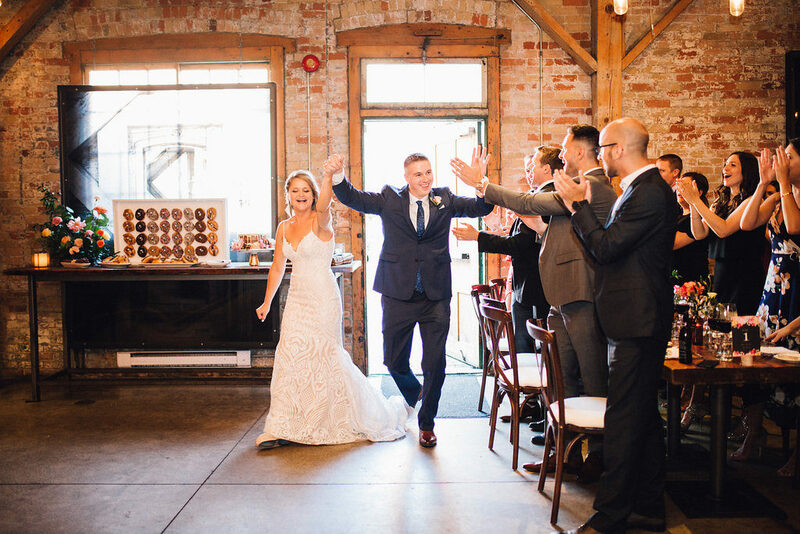 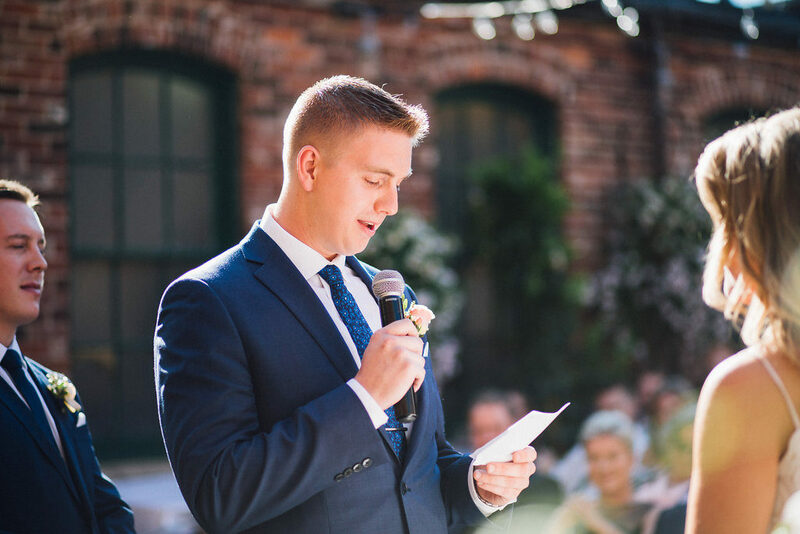 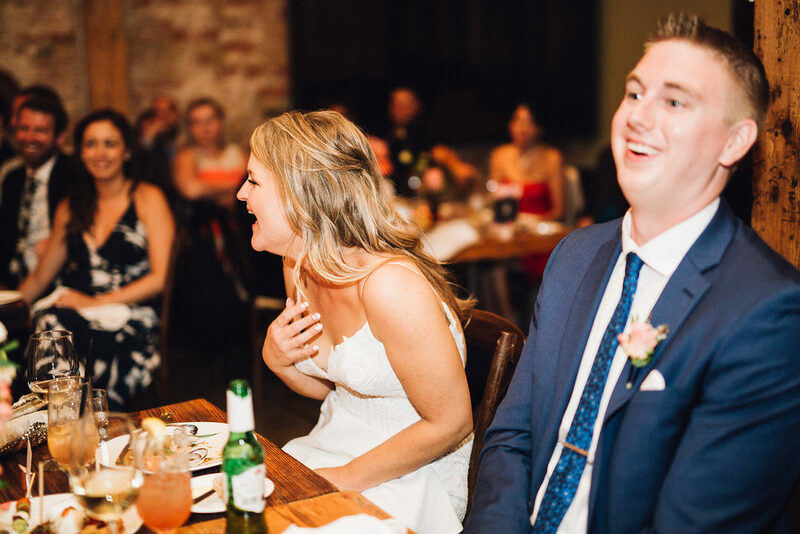 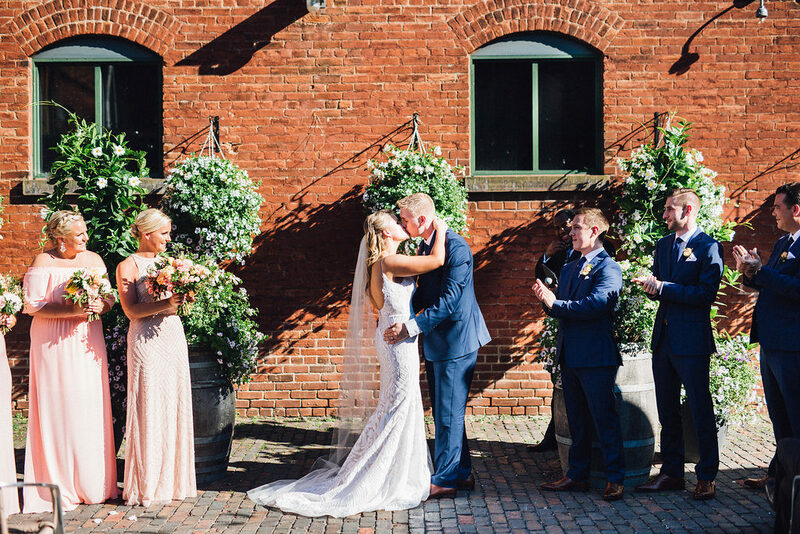 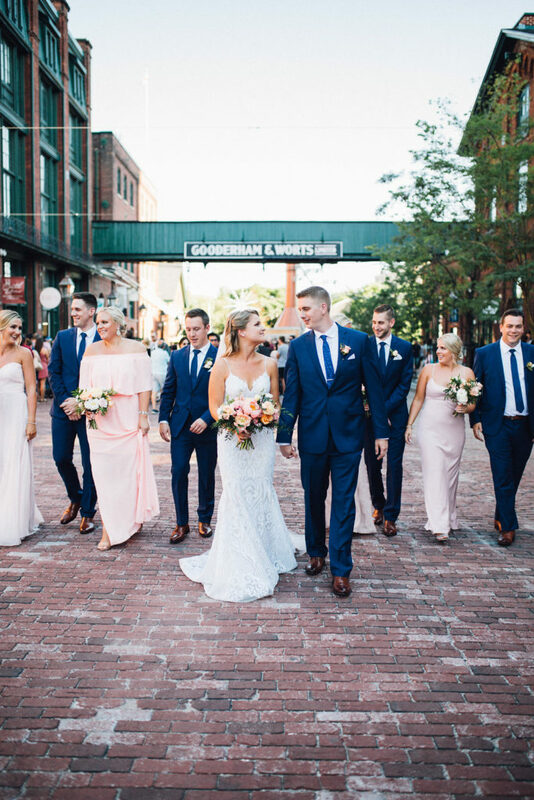 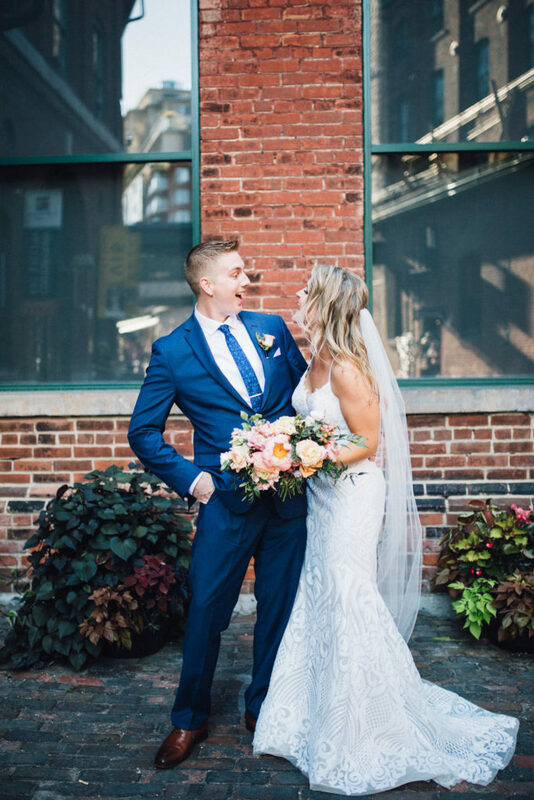 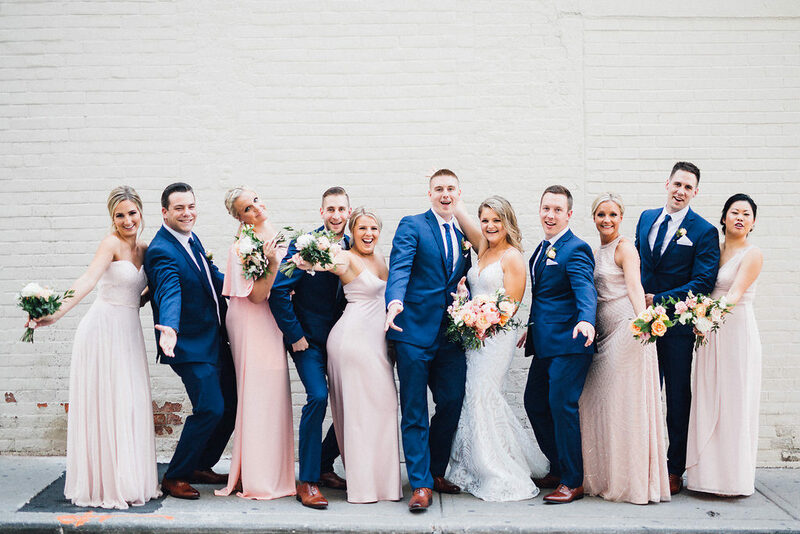 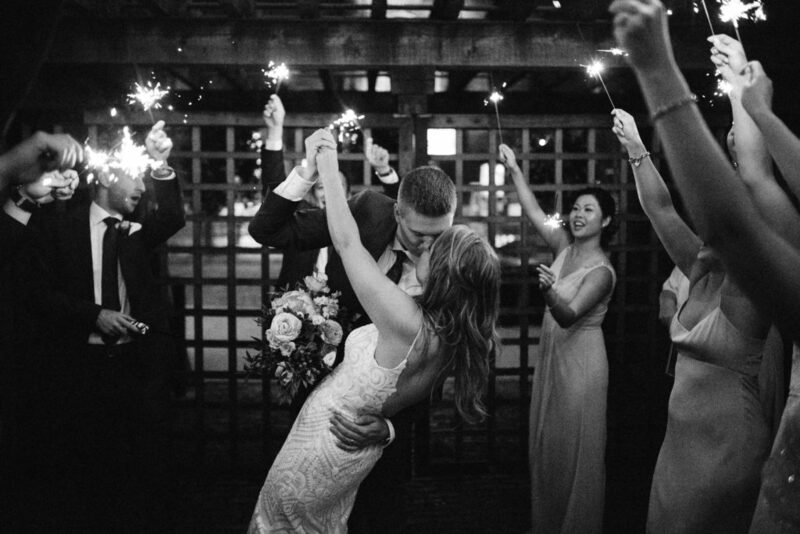 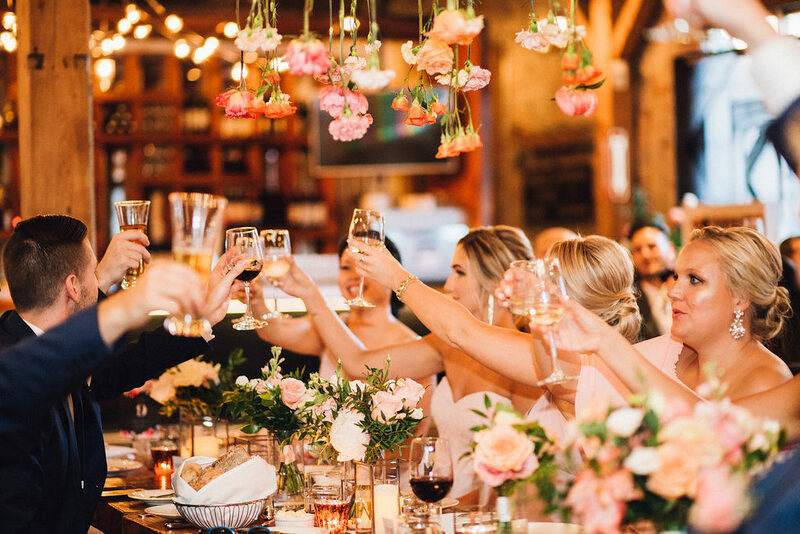 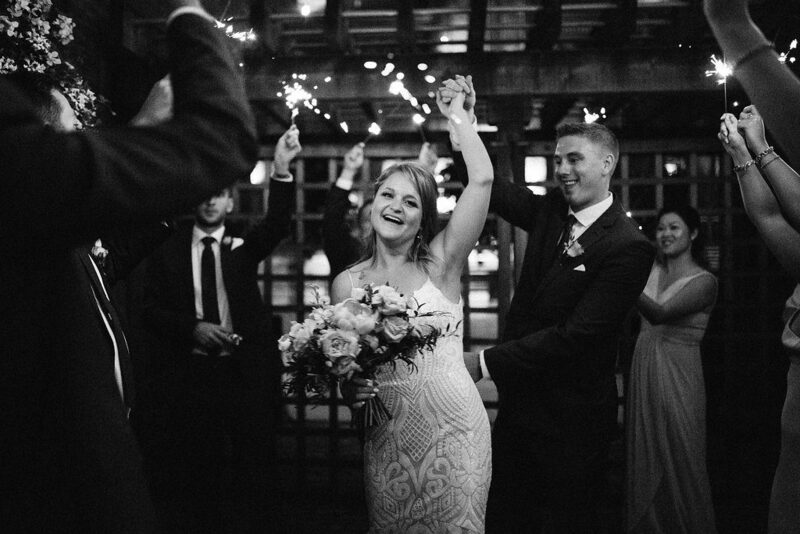 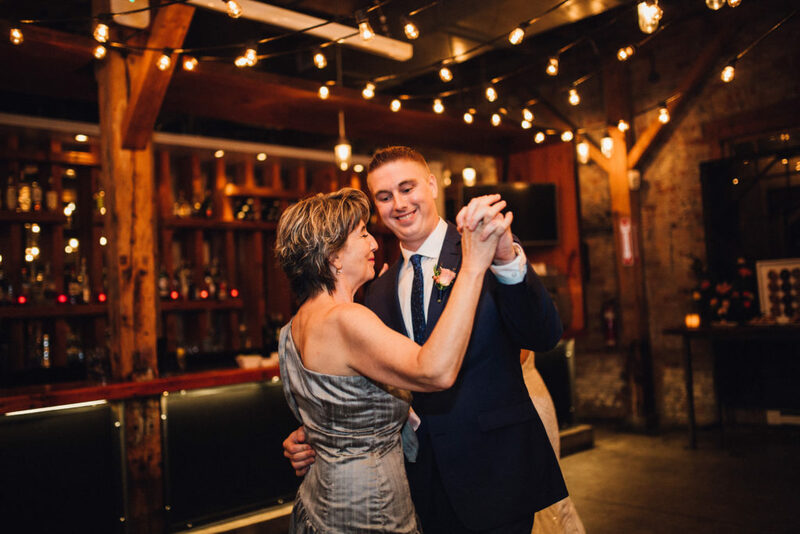 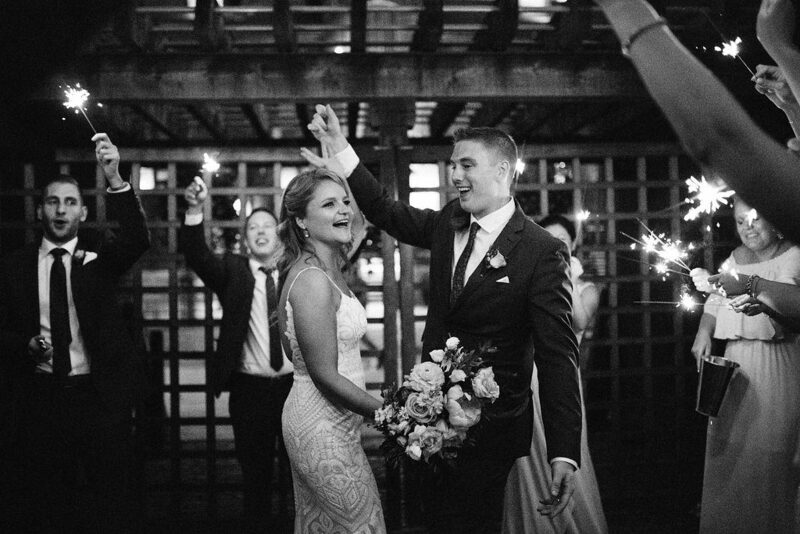 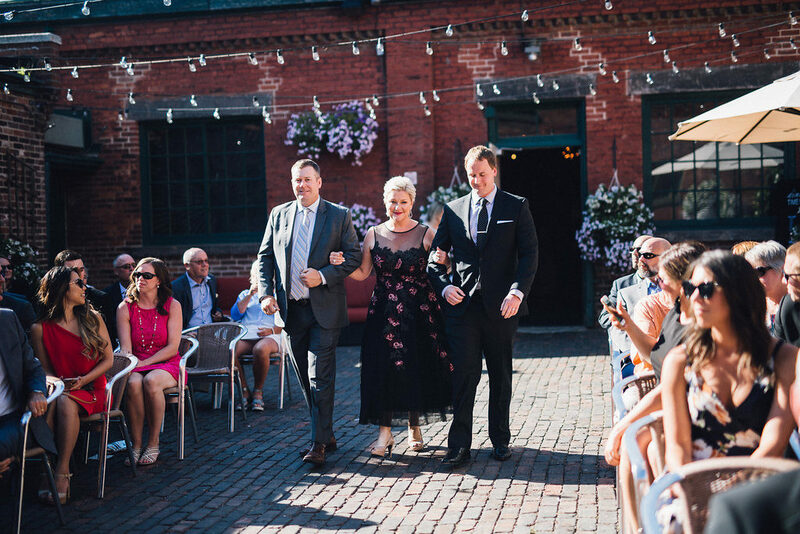 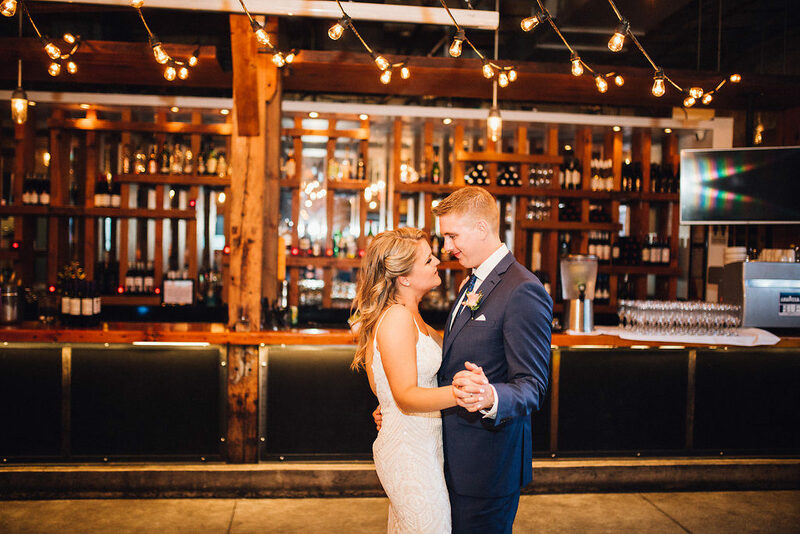 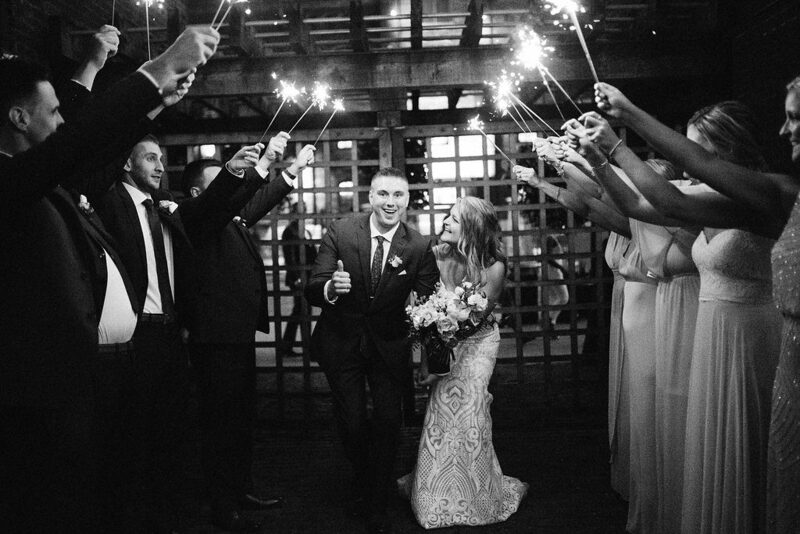 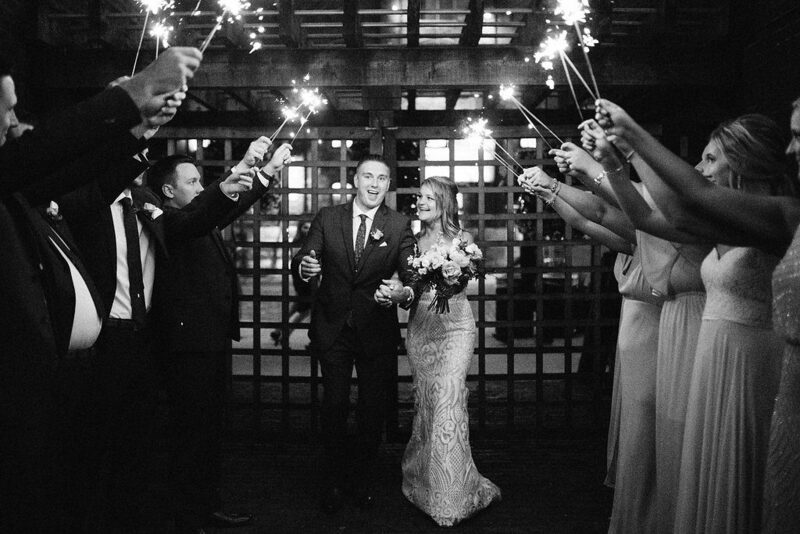 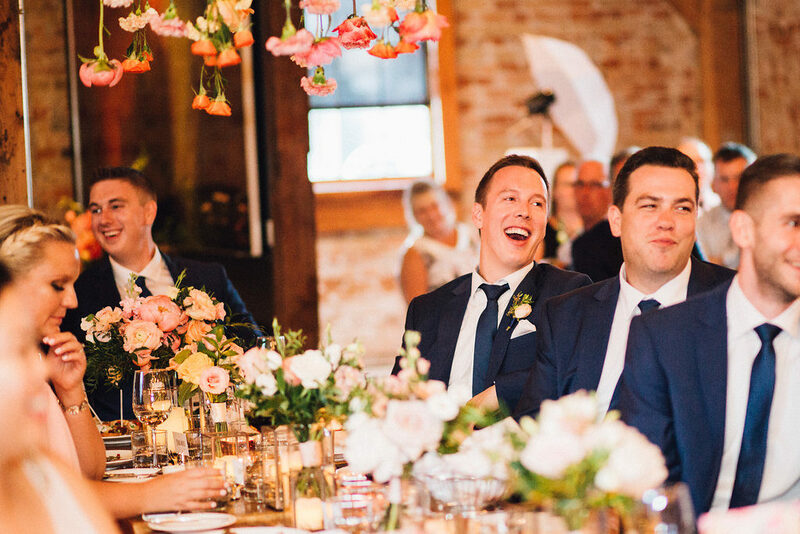 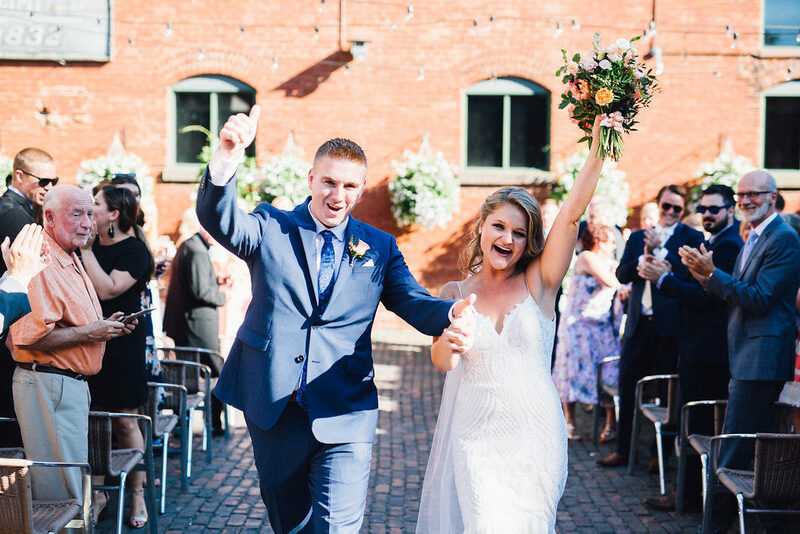 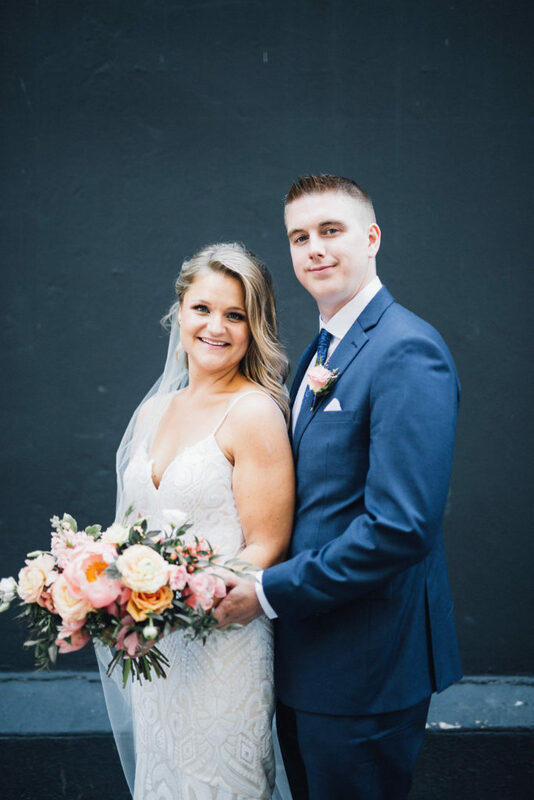 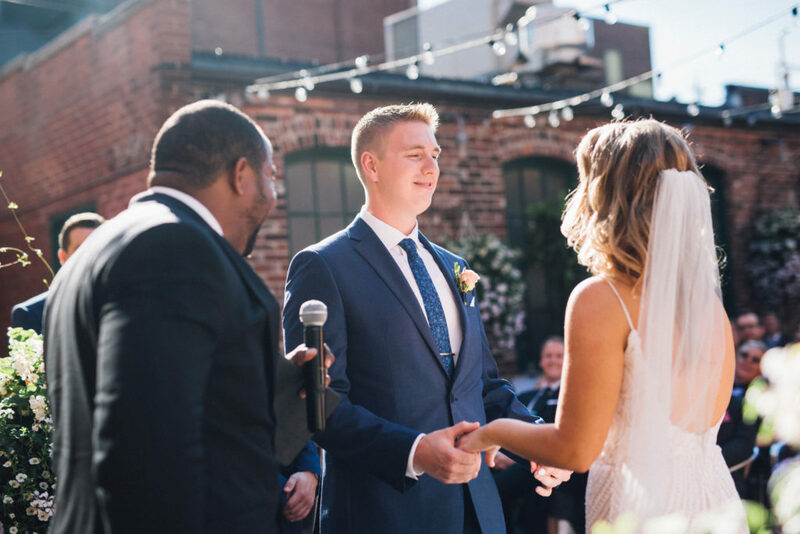 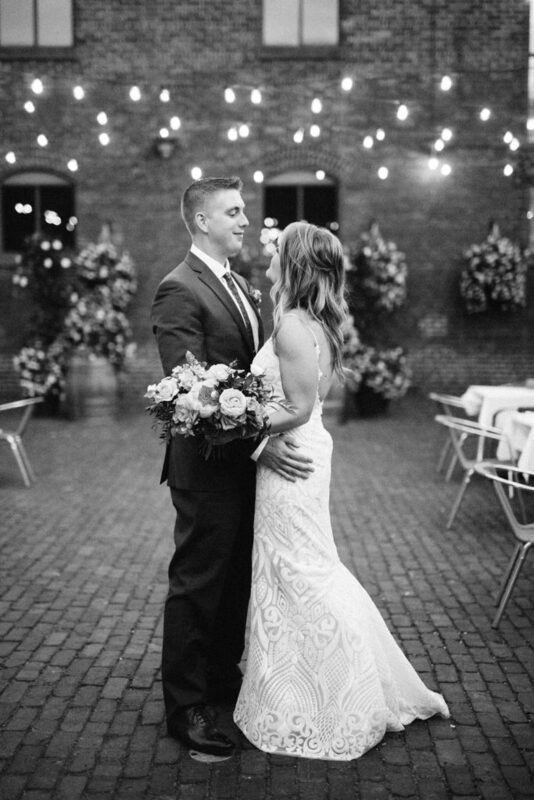 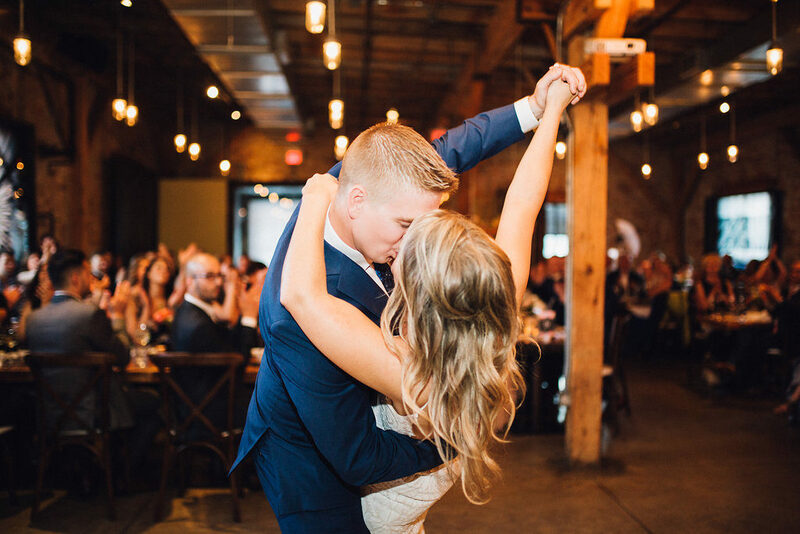 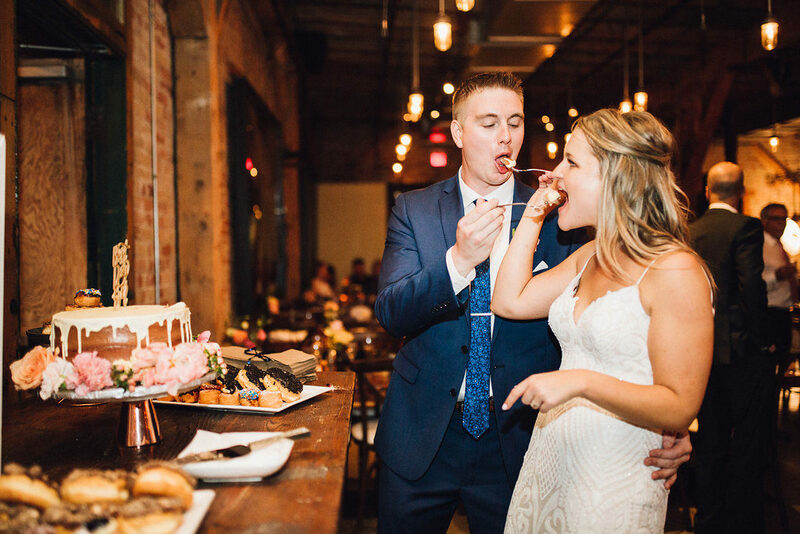 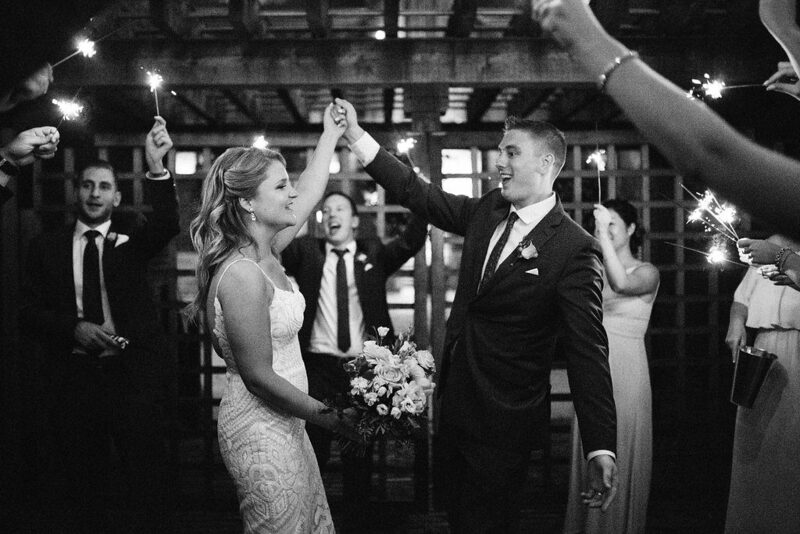 Kim and her now husband, Karlis, have been together almost 10 years so their wedding was definitely a celebration and one big party. 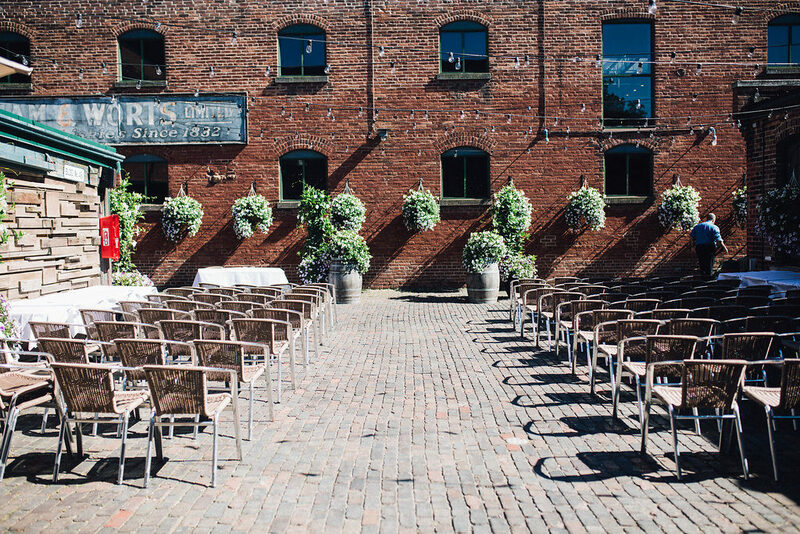 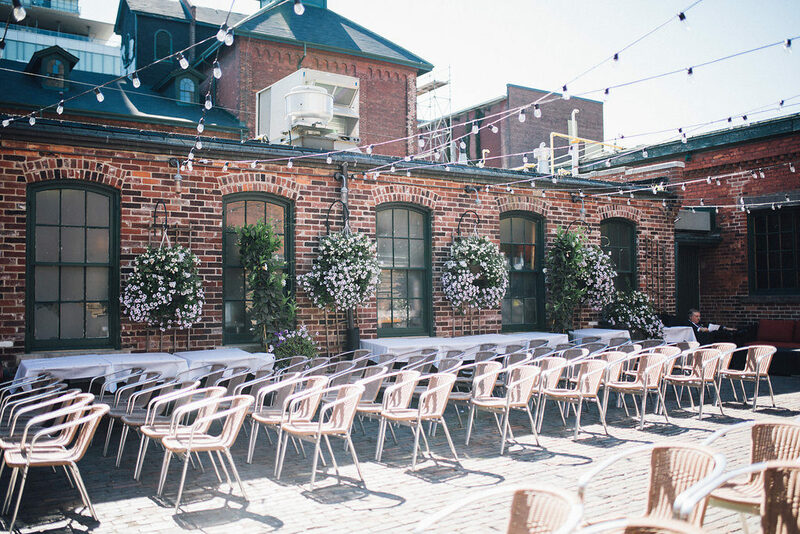 They chose the stunning industrial modern Archeo restaurant in the Distillery District downtown Toronto. 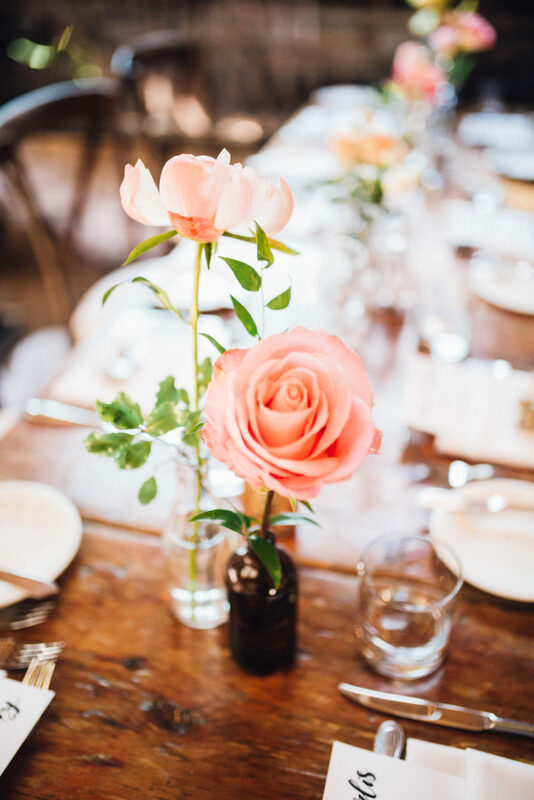 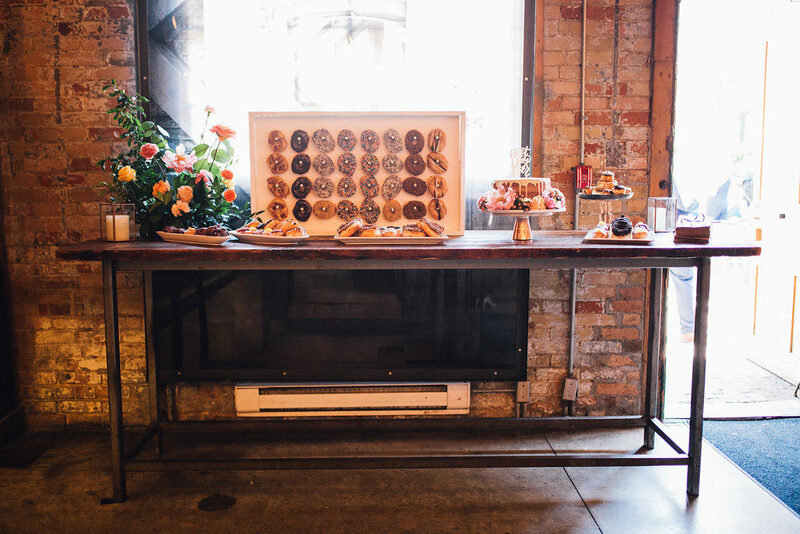 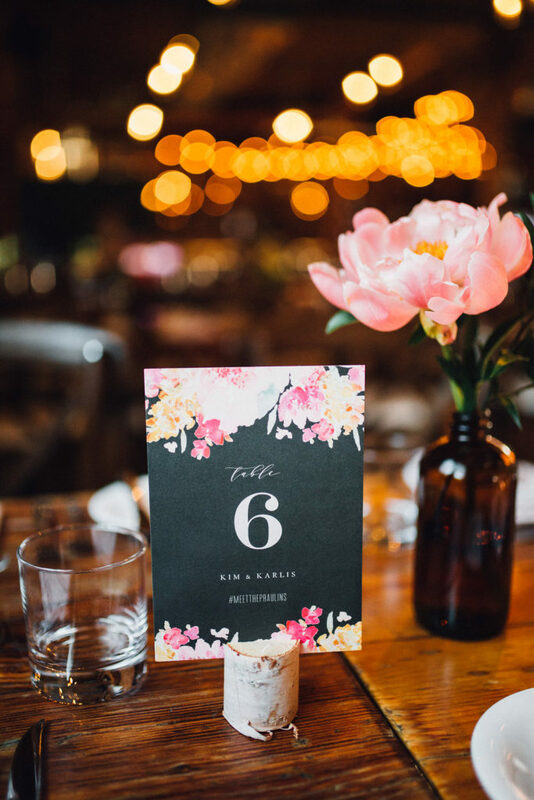 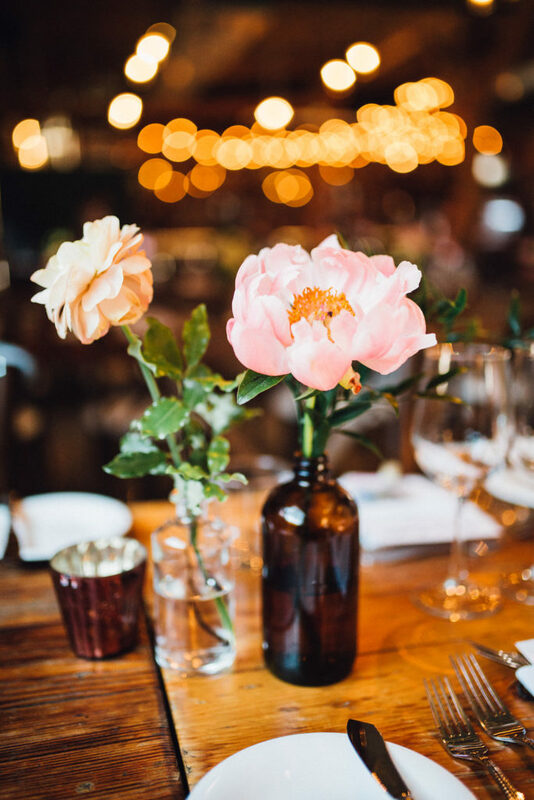 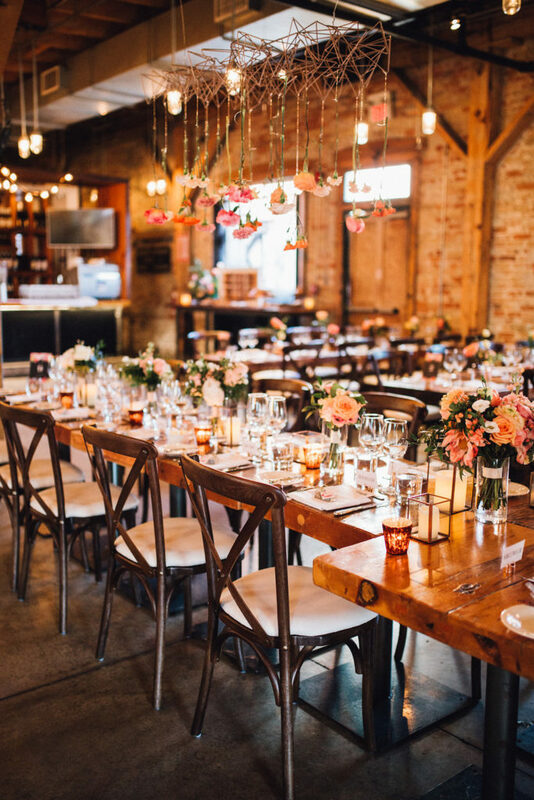 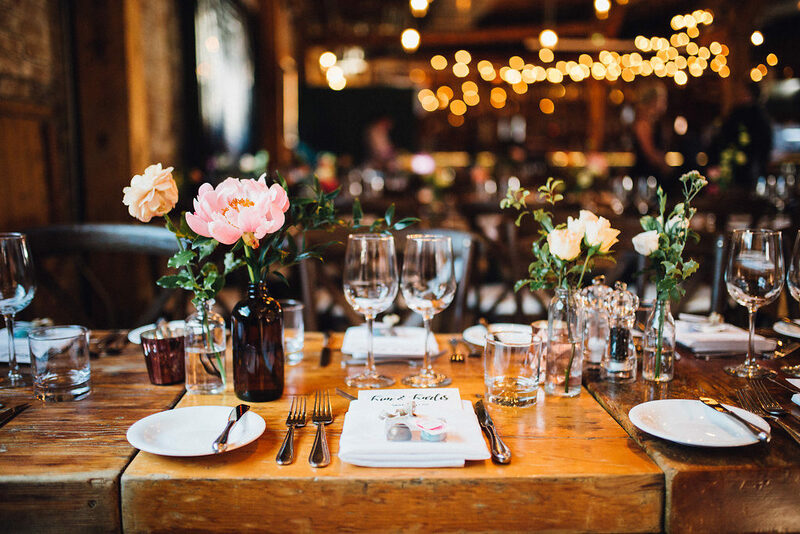 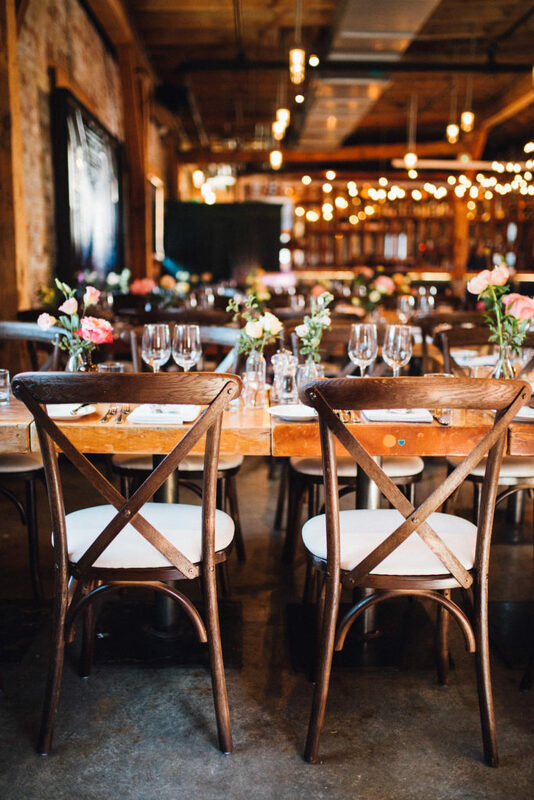 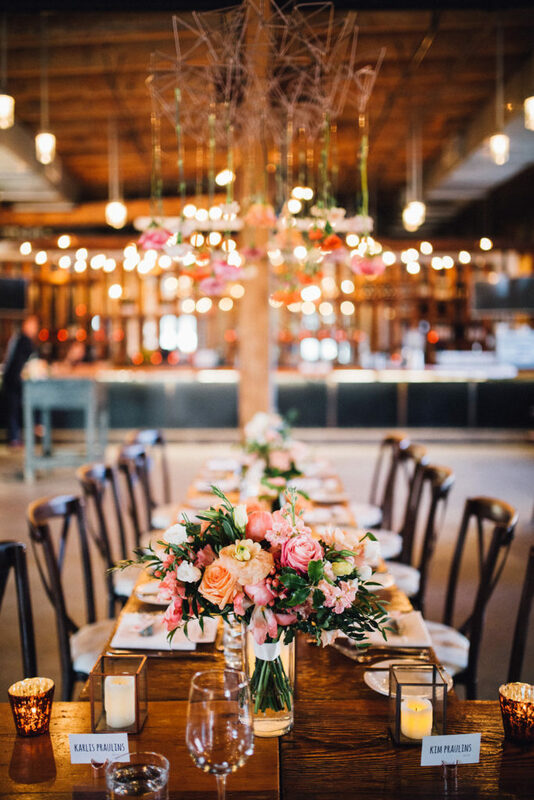 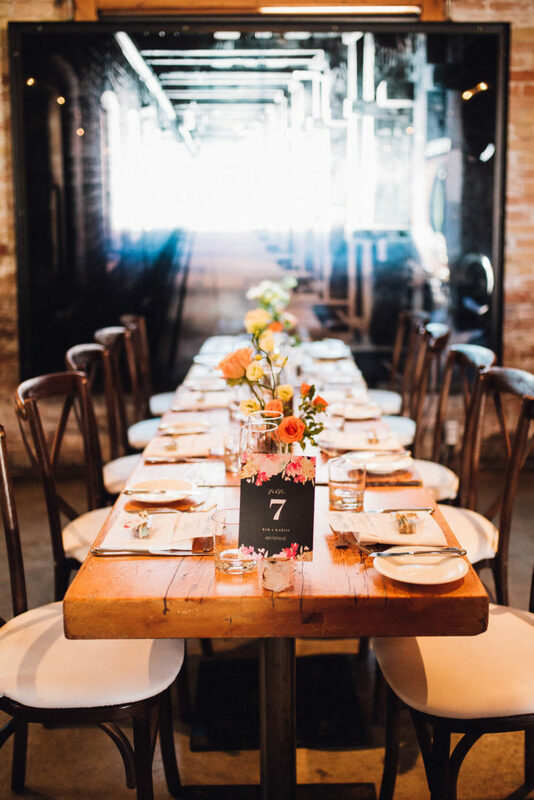 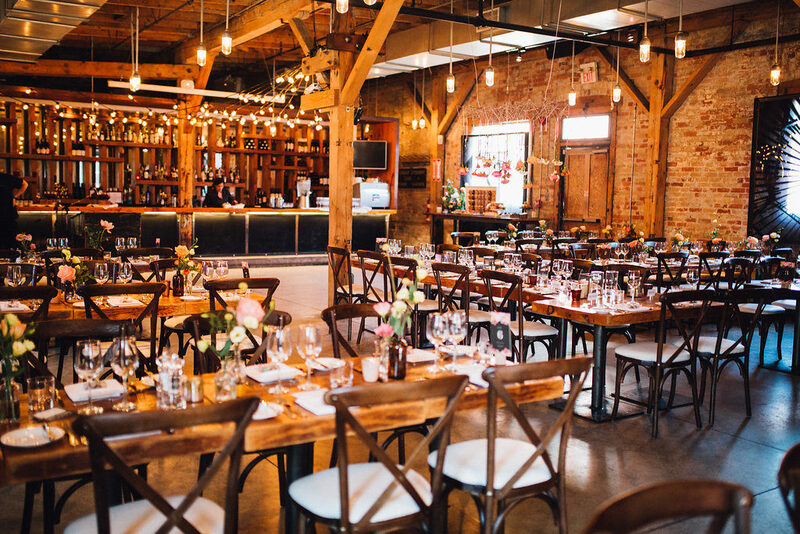 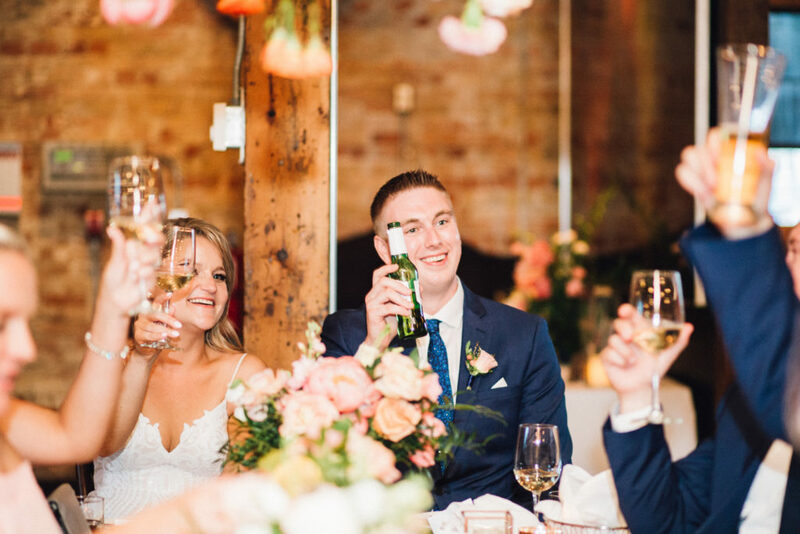 Design wise, we complimented the brick interior, harvest tables and wood cross back chairs with colourful florals in clear and amber glass bottles, accented with votives and candles in modern square, gold rimmed glass containers. 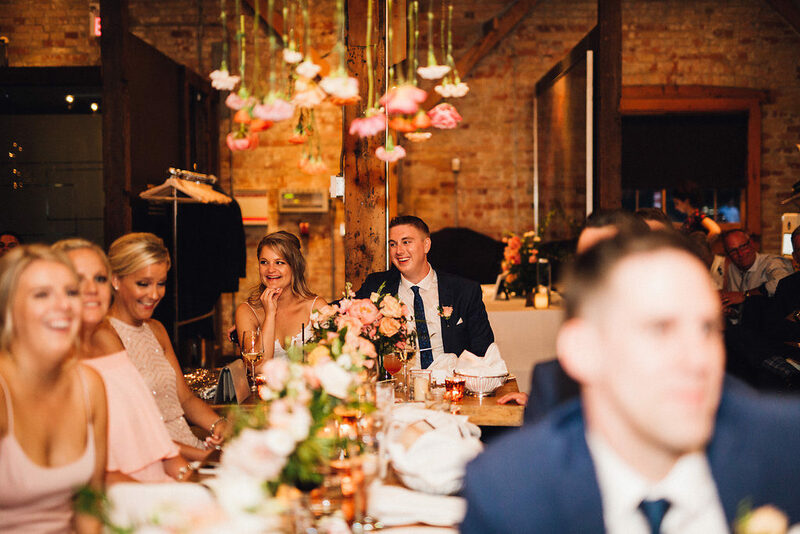 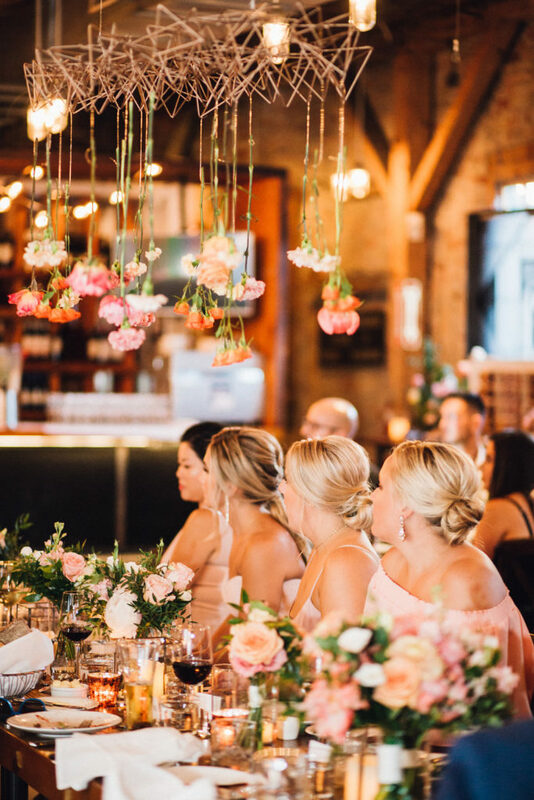 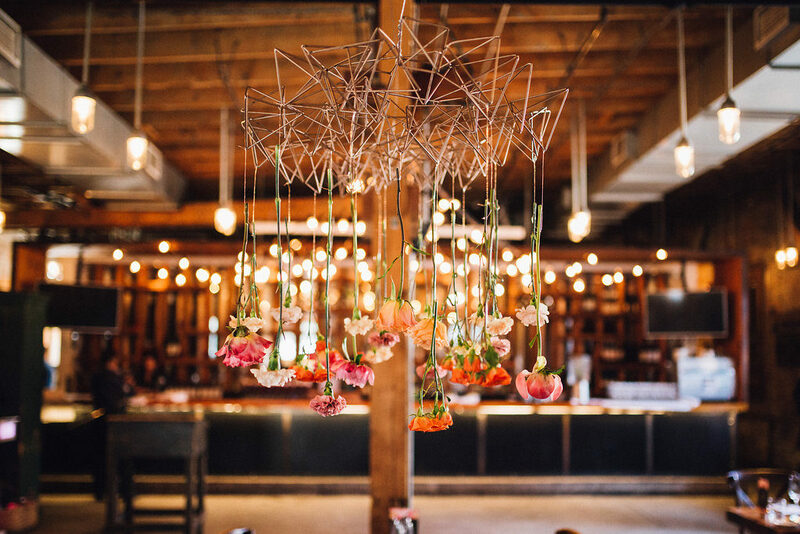 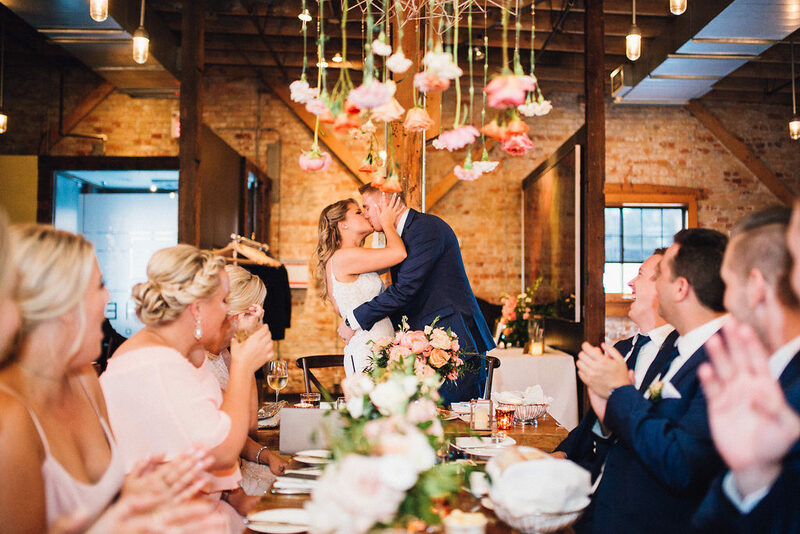 My favourite design feature was the hanging floral installation over the head table – a detail that was dreamed up in collaboration with Cedar & Stone, and added a touch of fun and whimsy to the room. 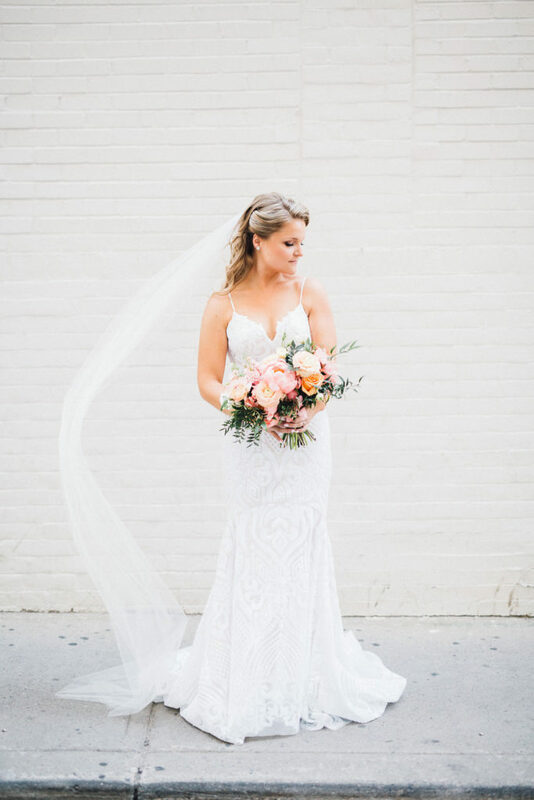 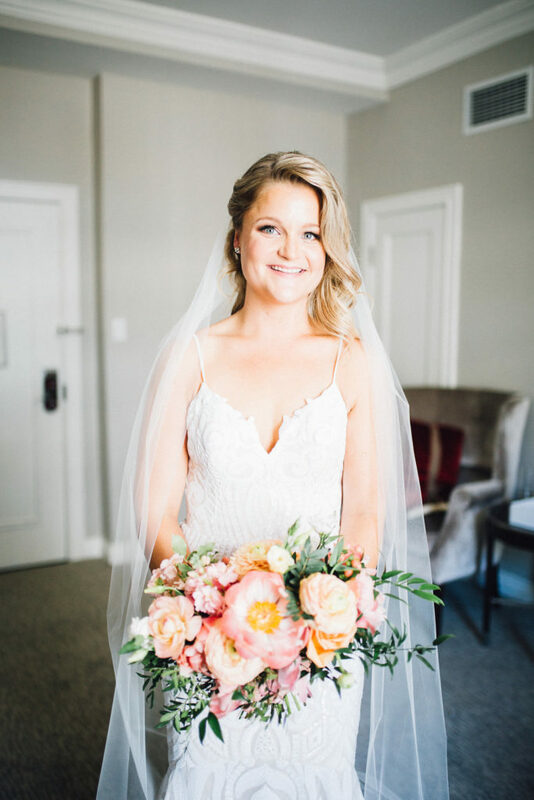 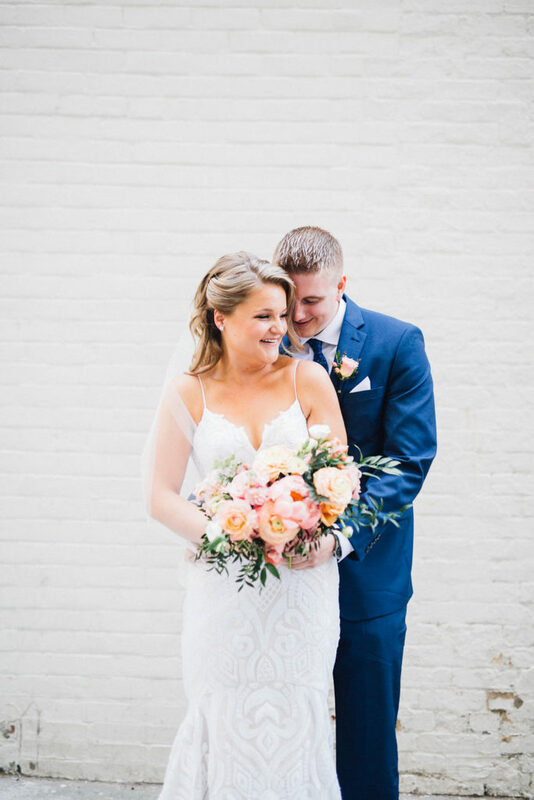 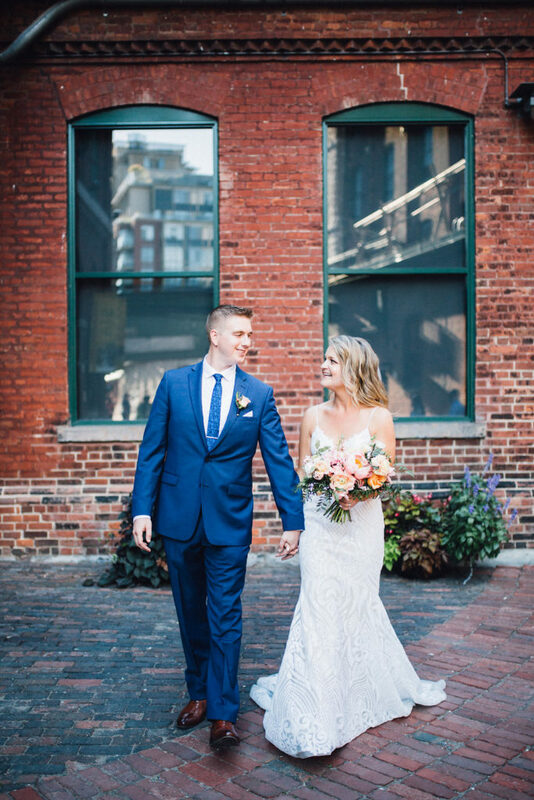 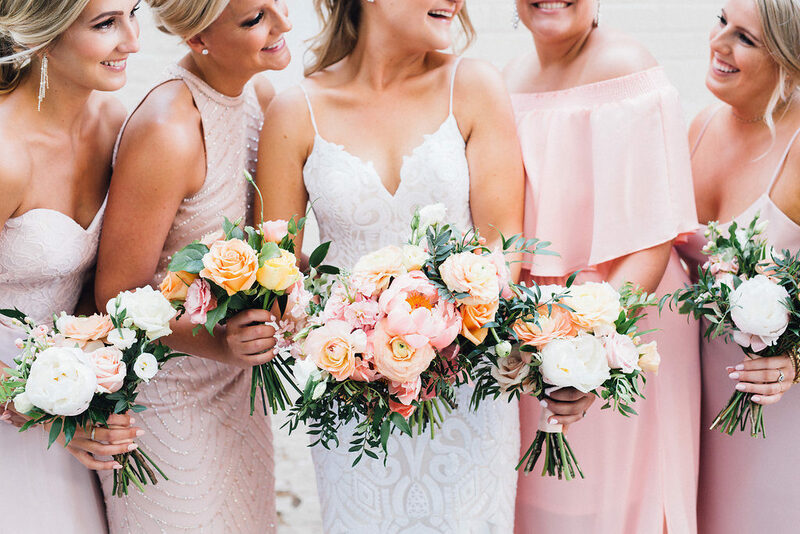 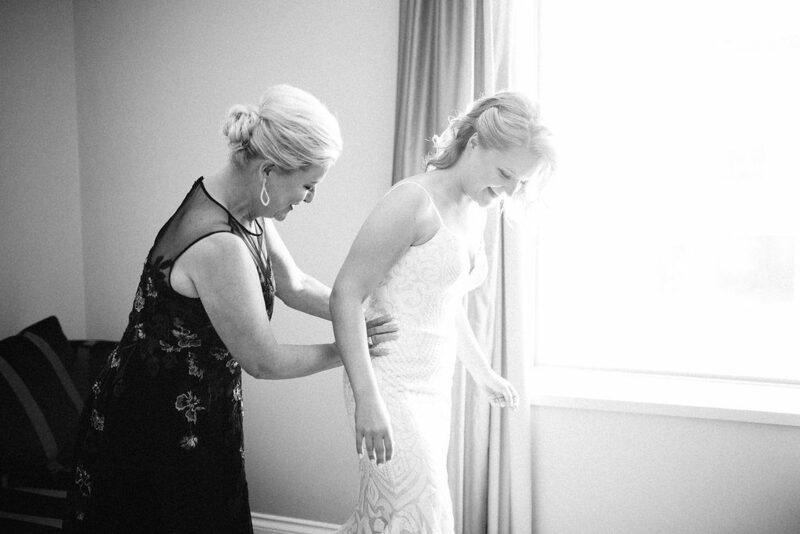 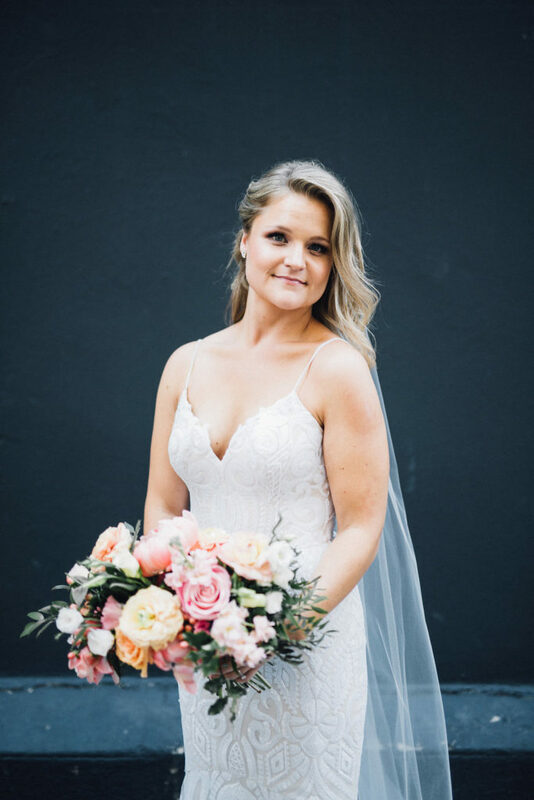 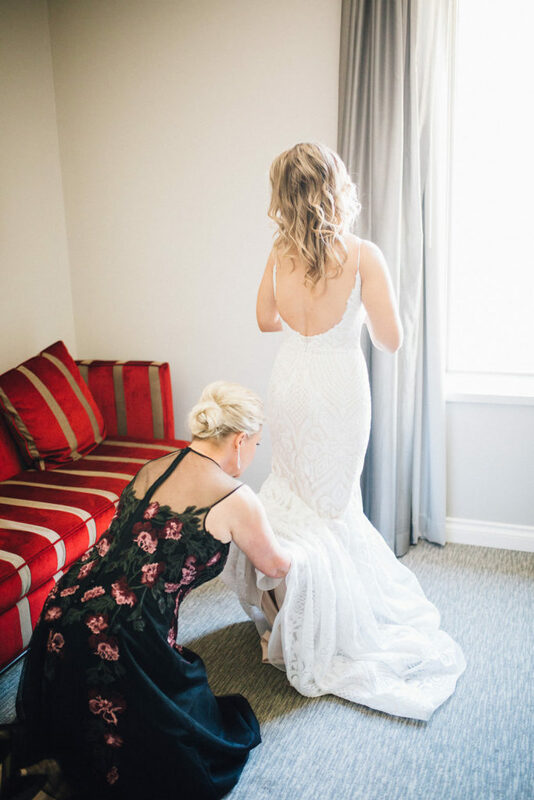 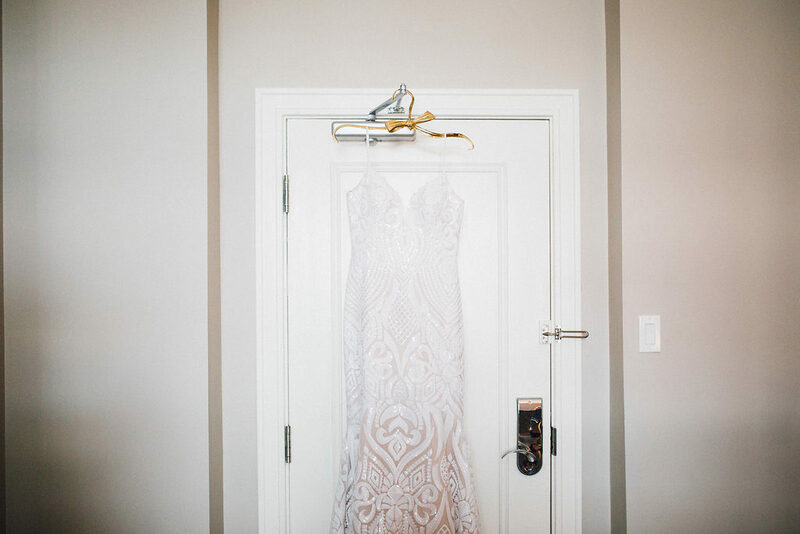 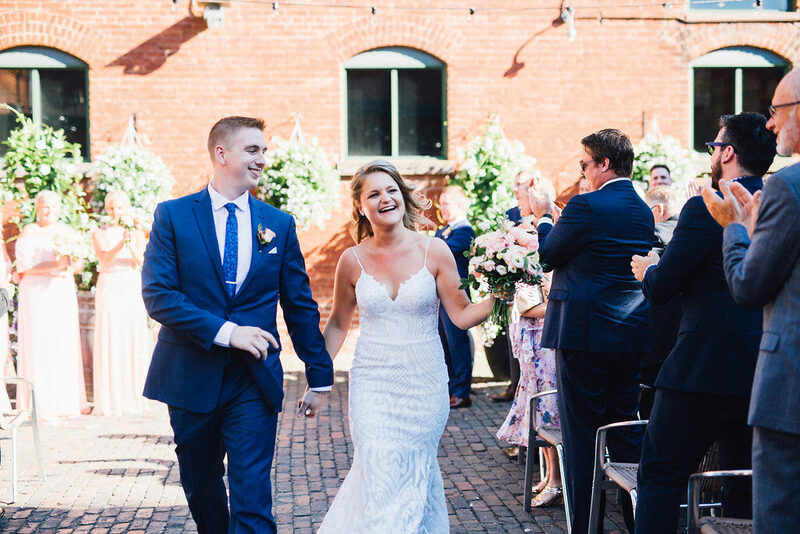 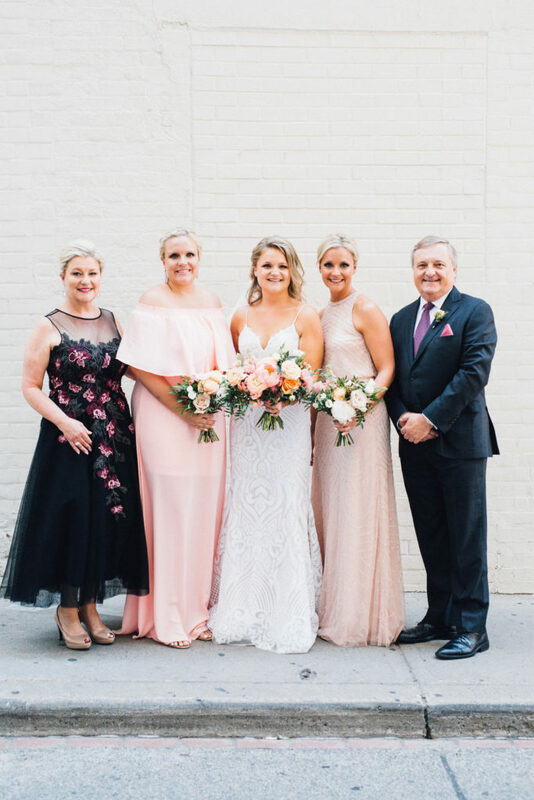 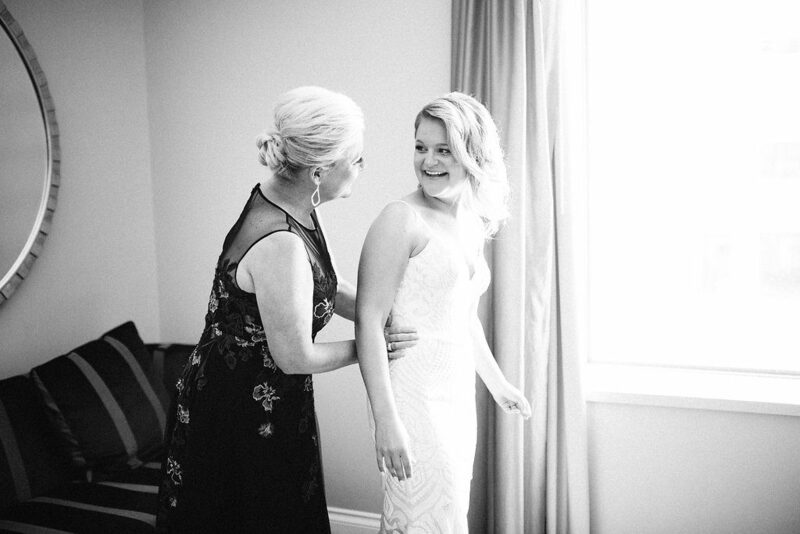 I may be biased, but Kim’s Hayley Paige dress was one of the most beautiful dresses I have seen on a bride, and thanks to a wonderful experience at The Modern Bride, she chose it at her very first appointment, in well under an hour. 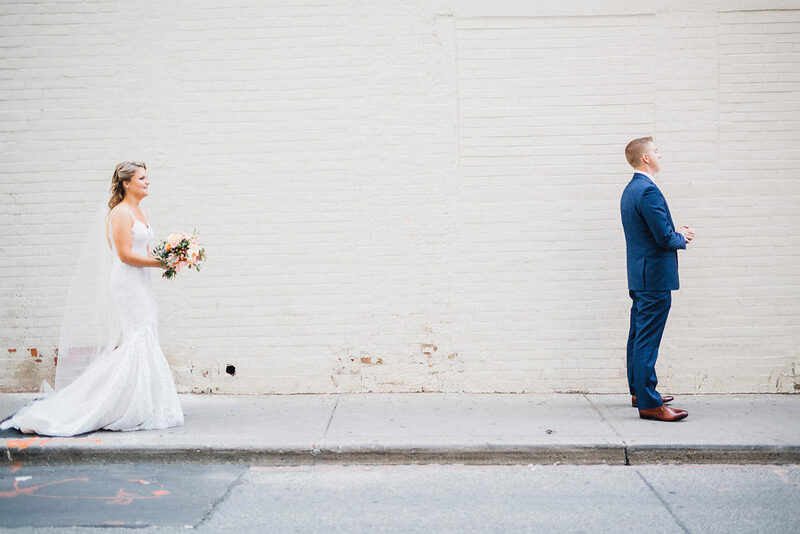 That has to be a record! 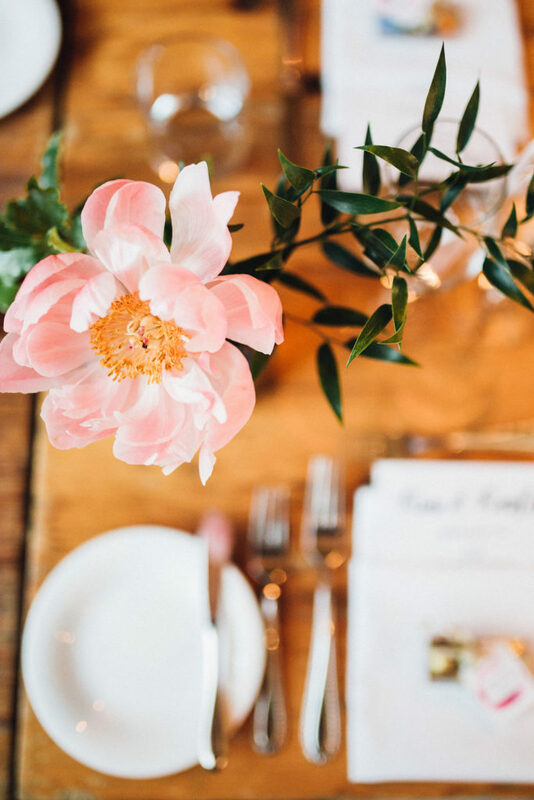 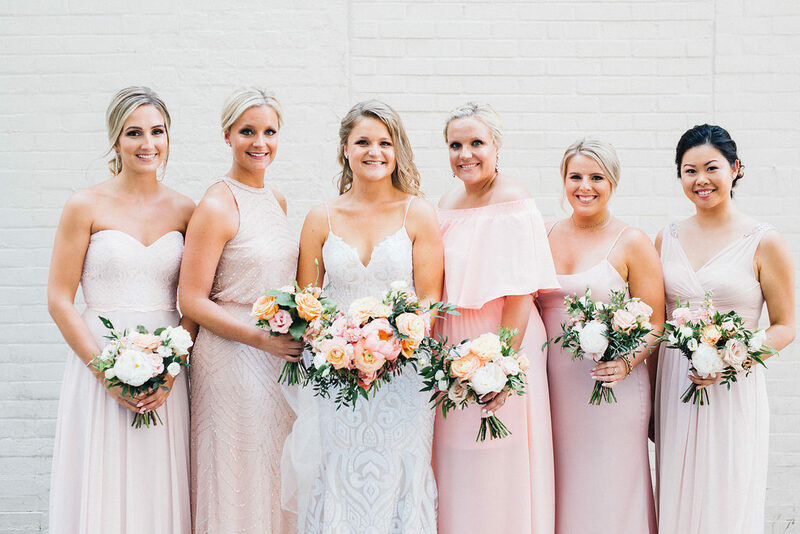 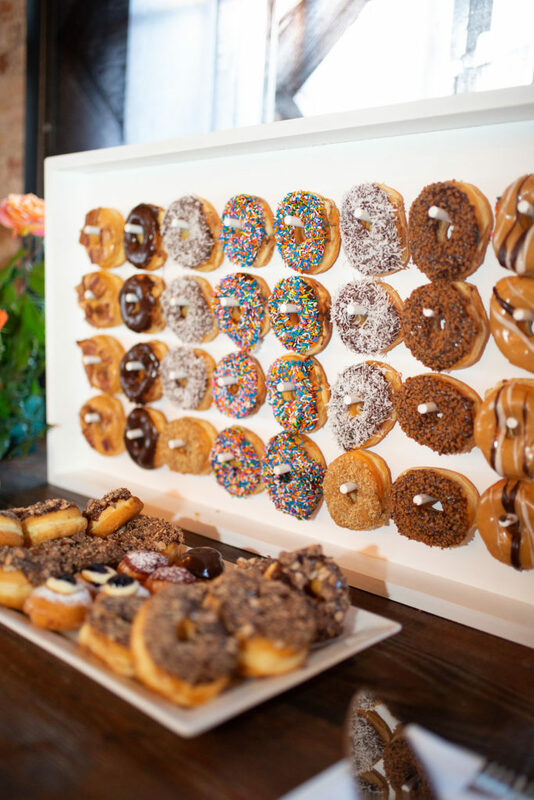 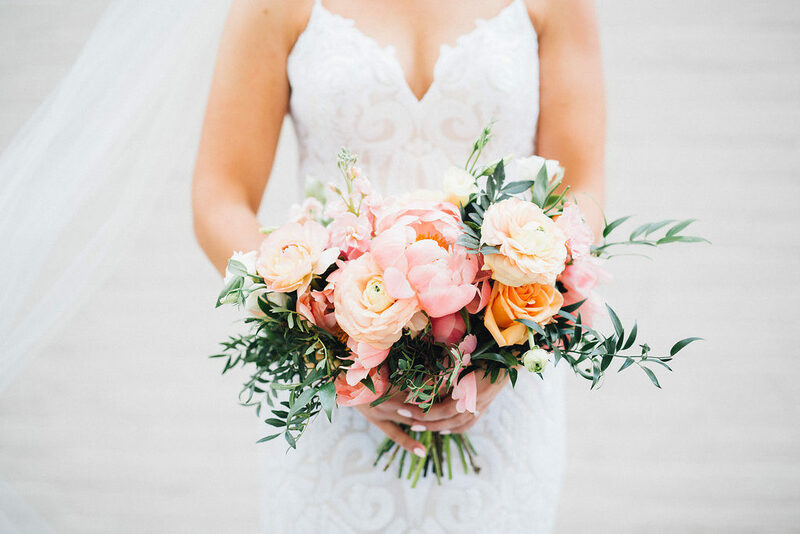 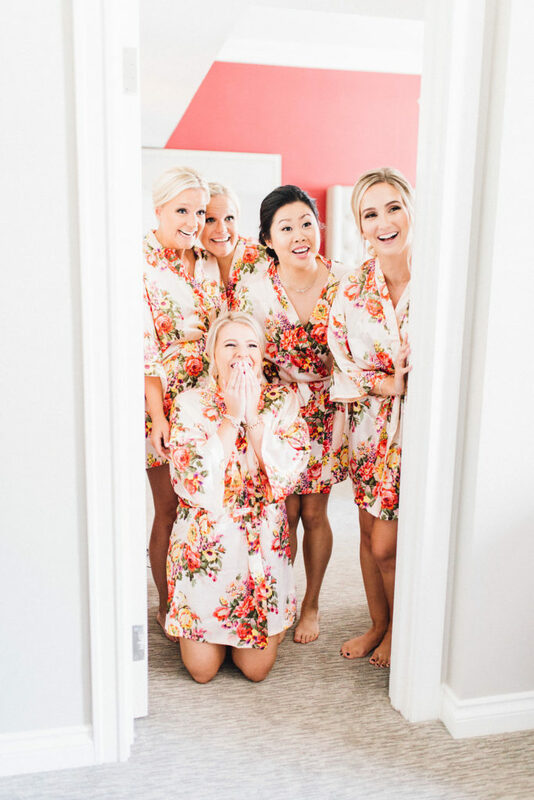 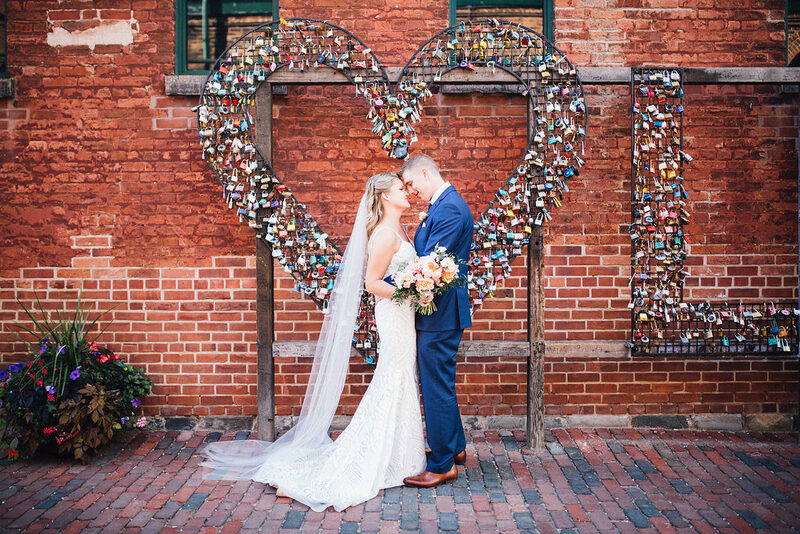 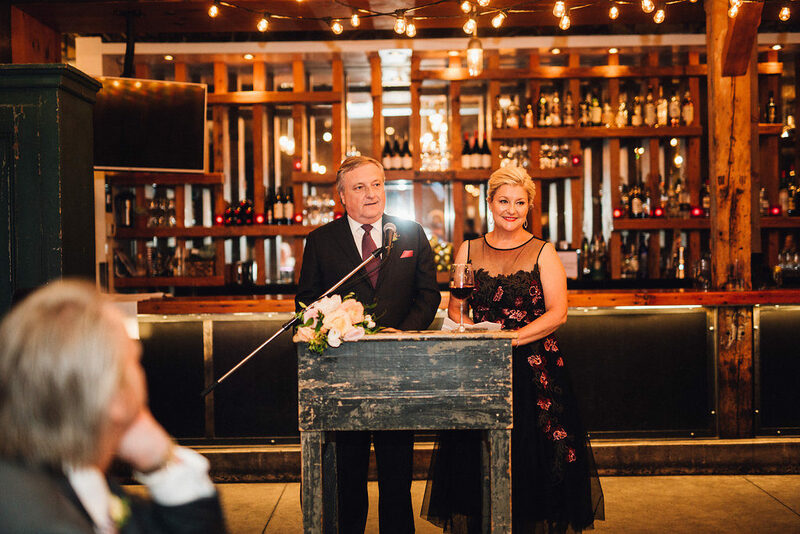 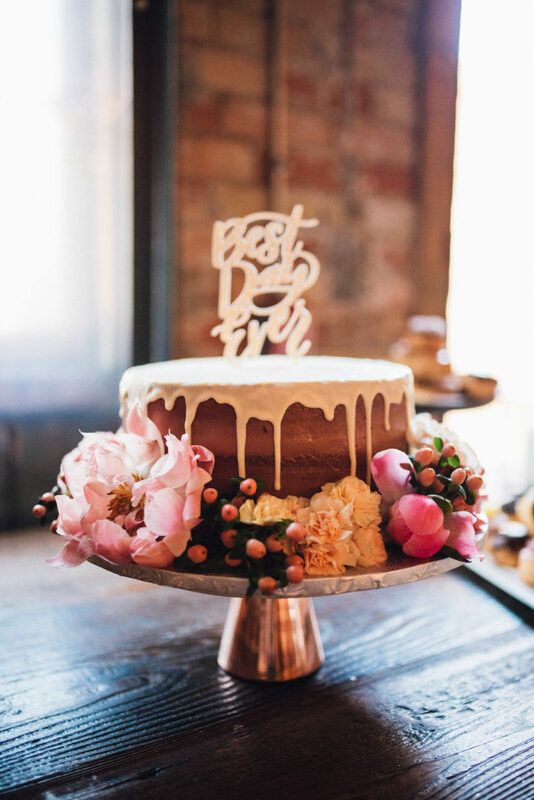 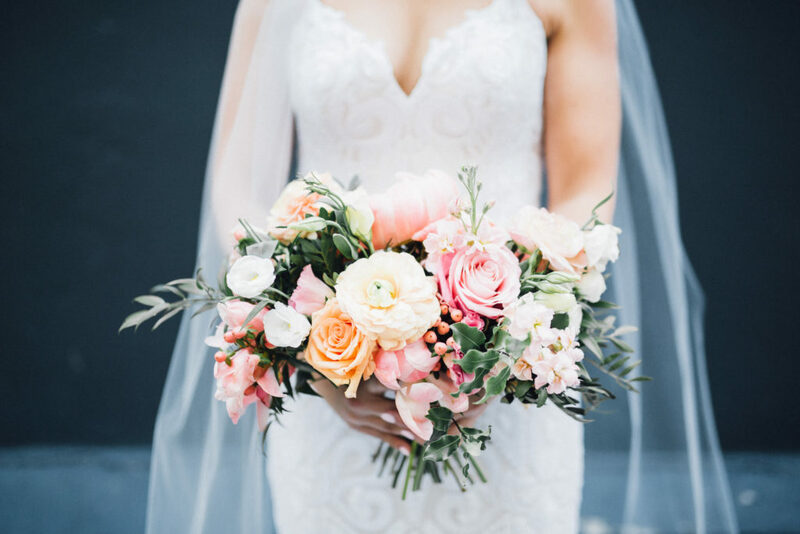 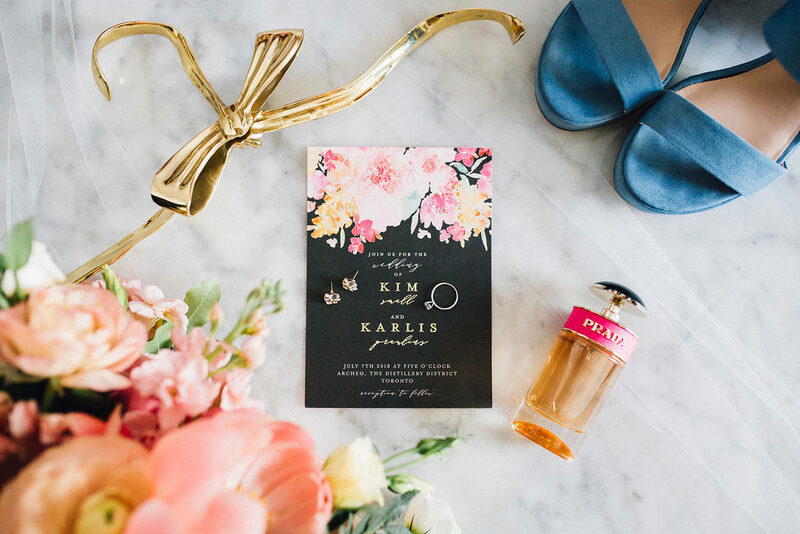 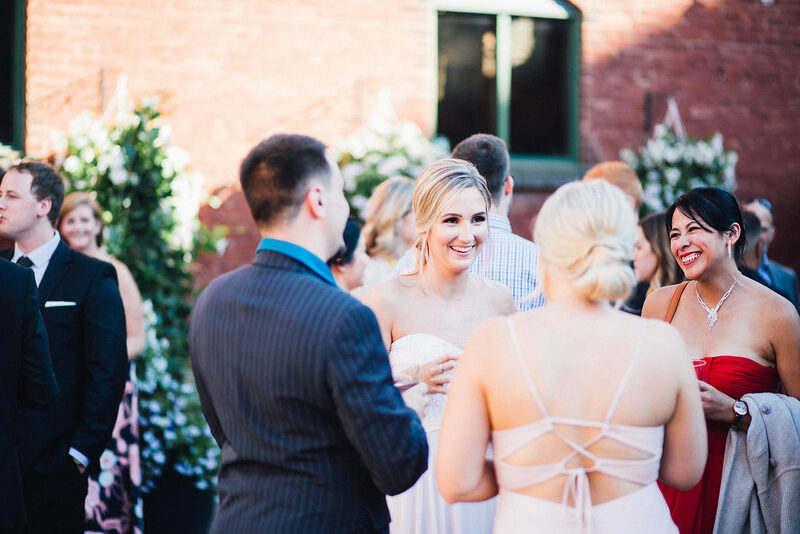 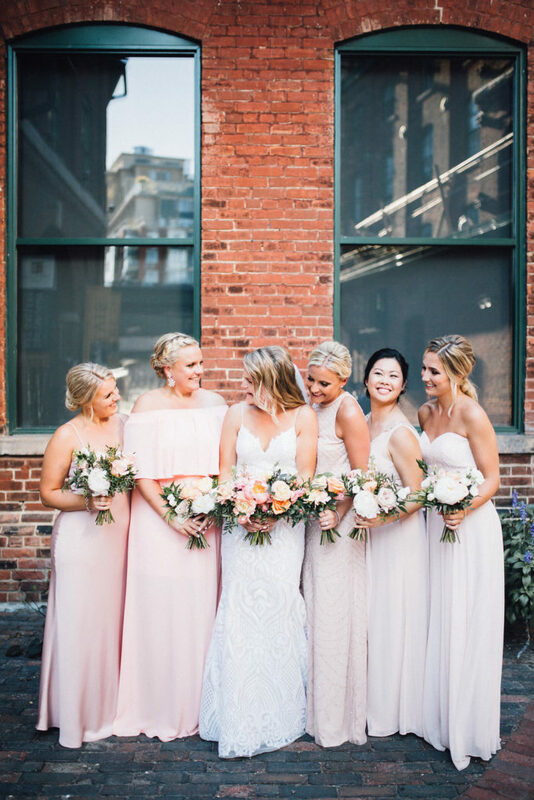 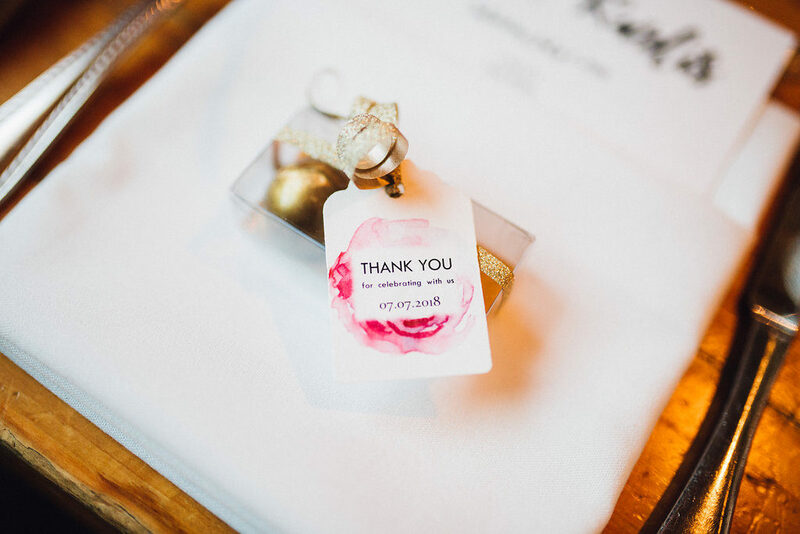 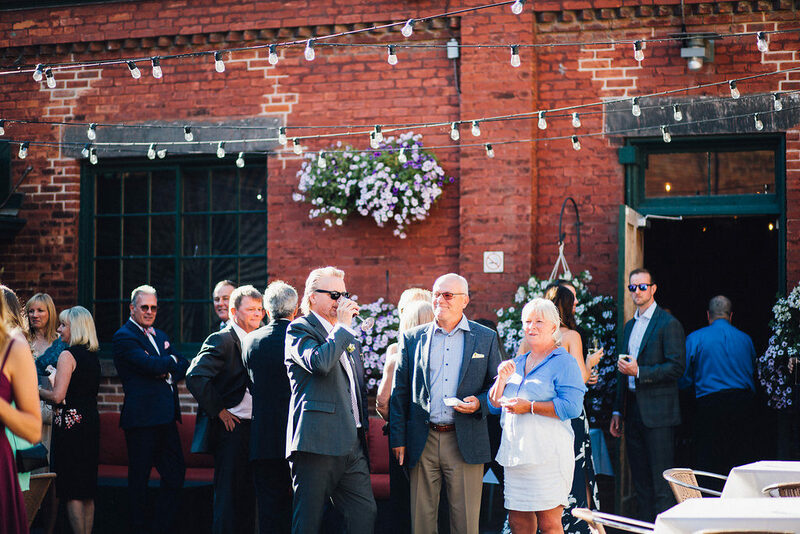 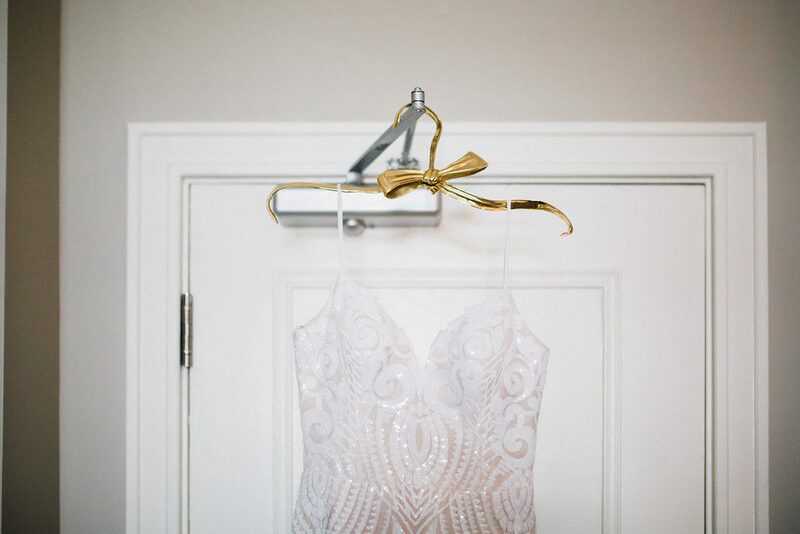 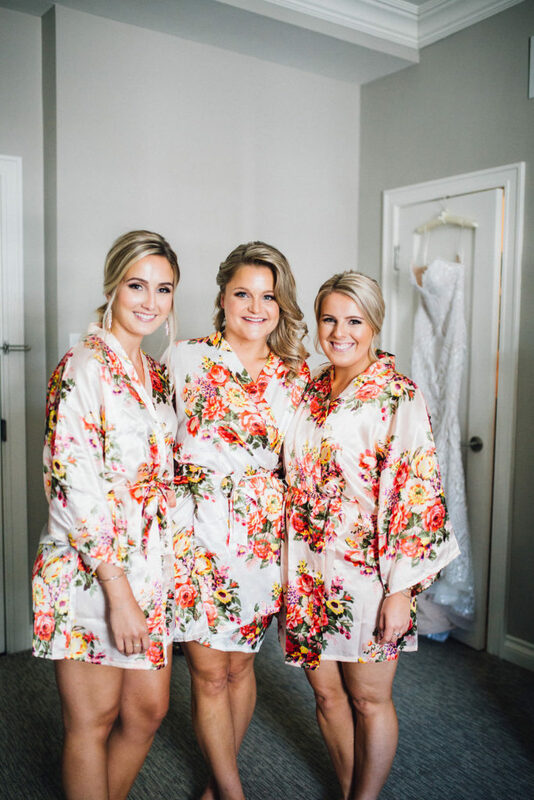 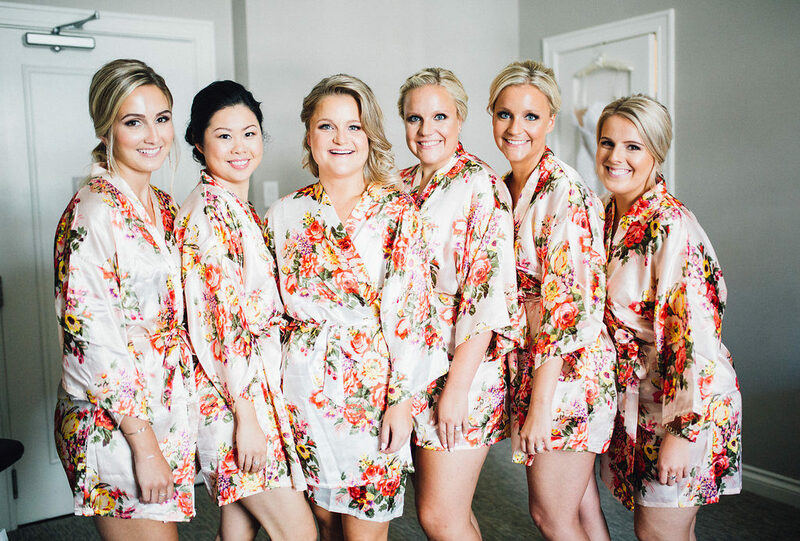 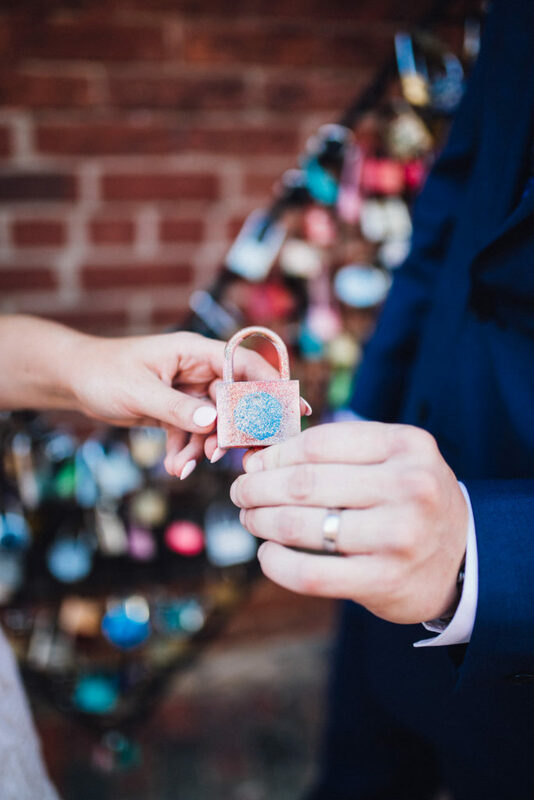 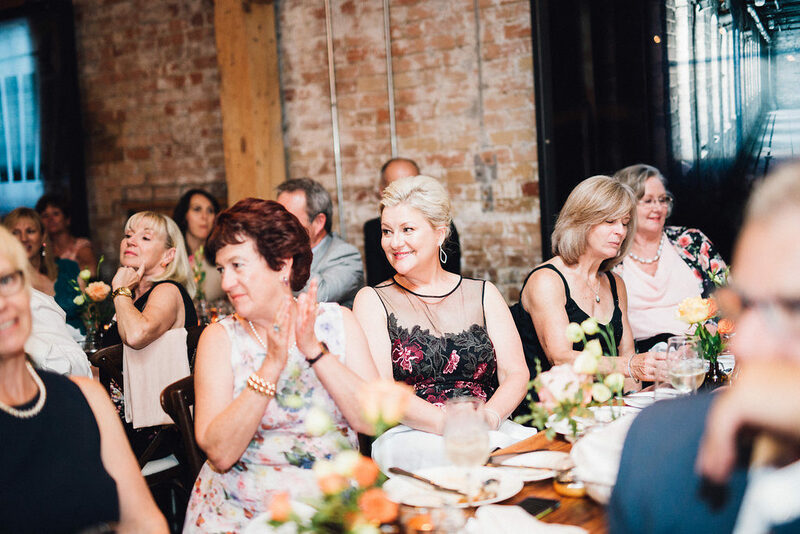 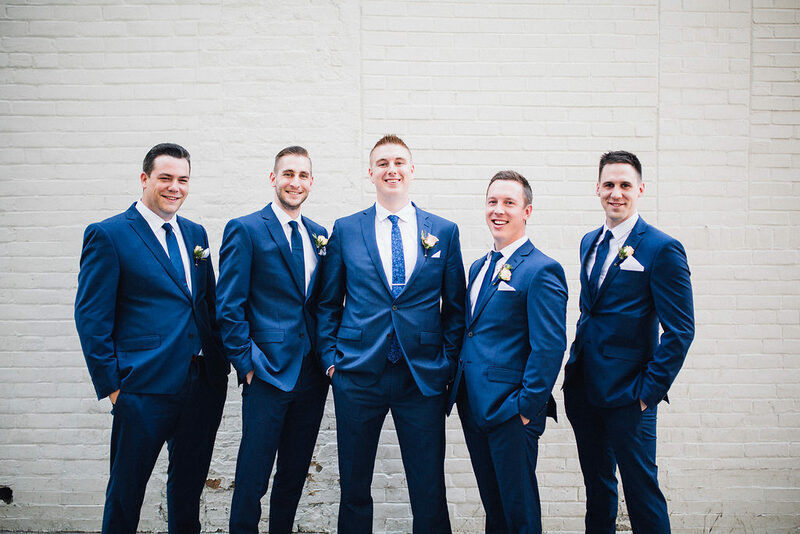 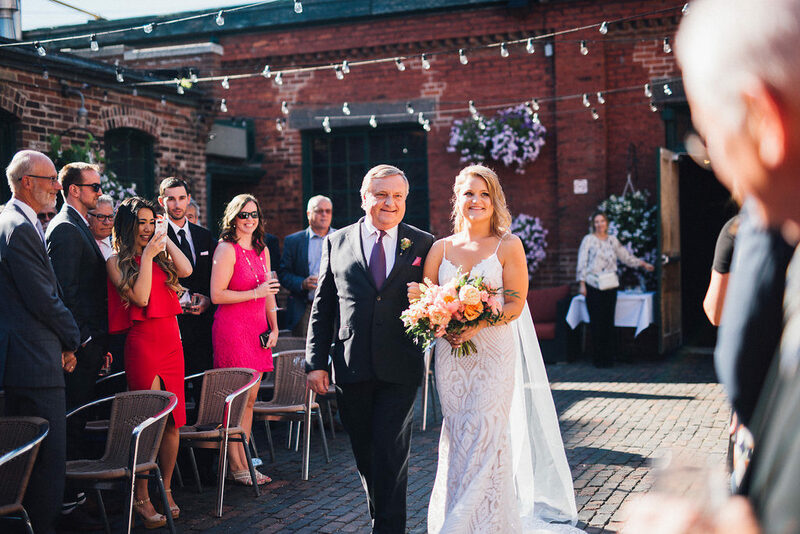 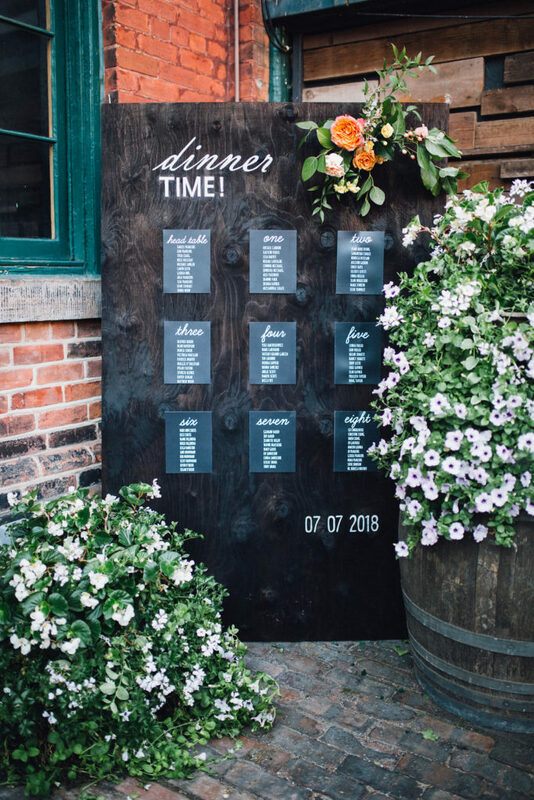 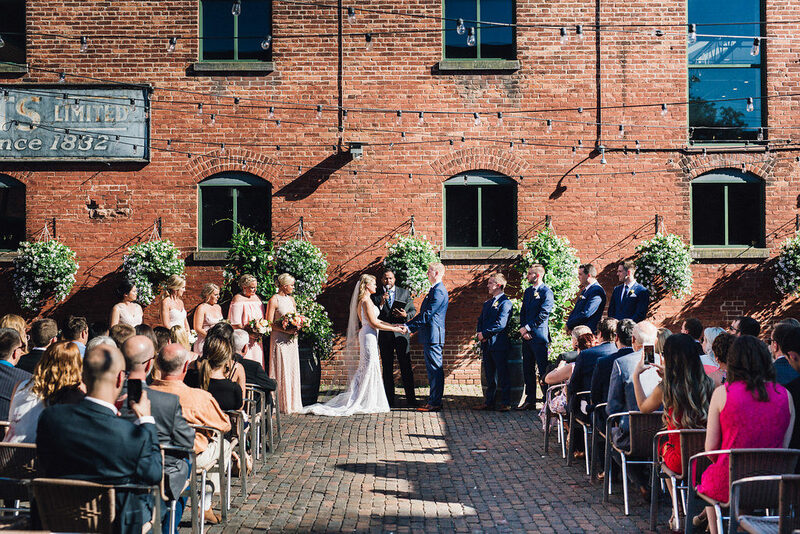 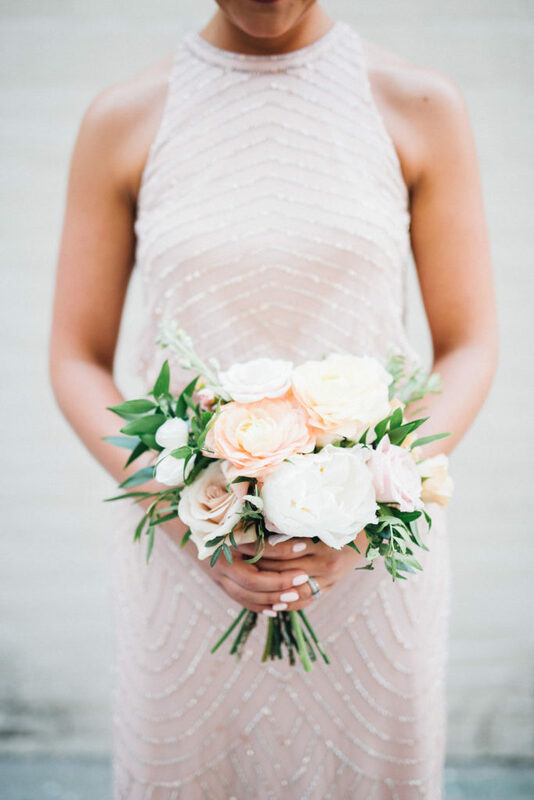 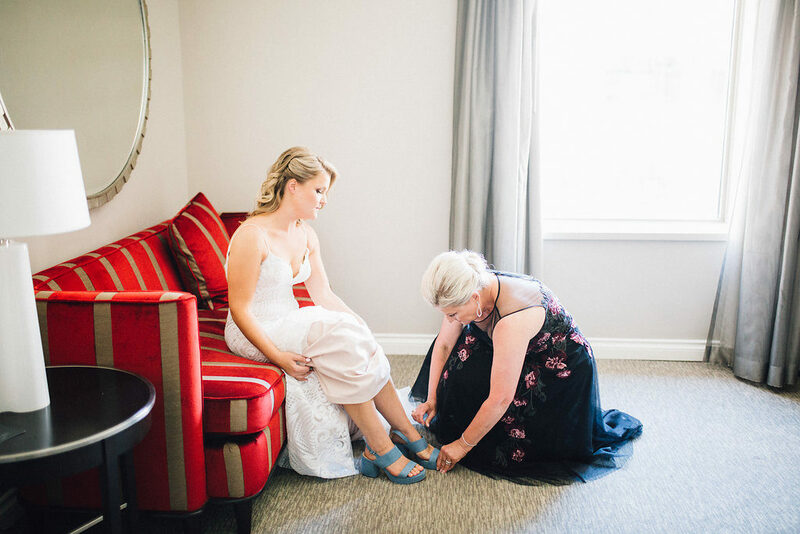 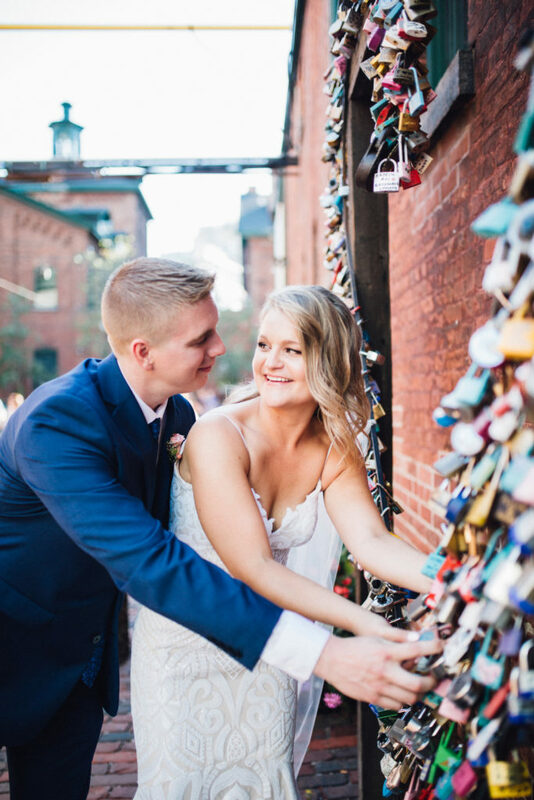 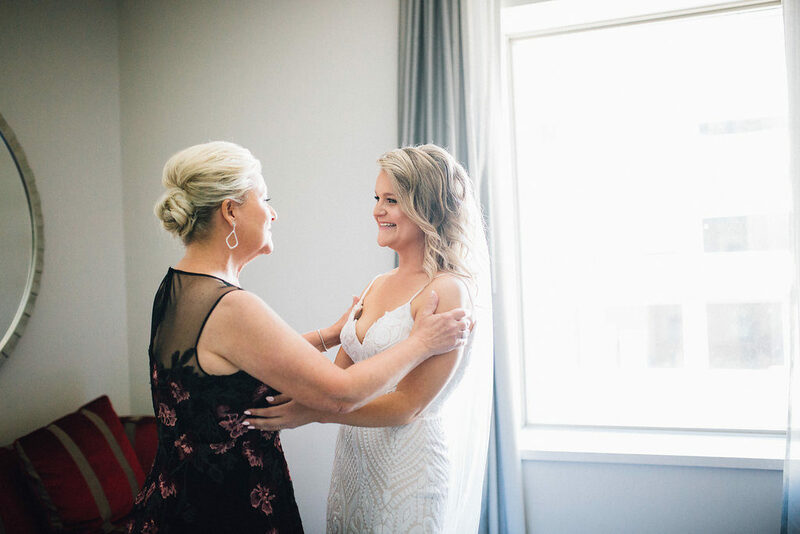 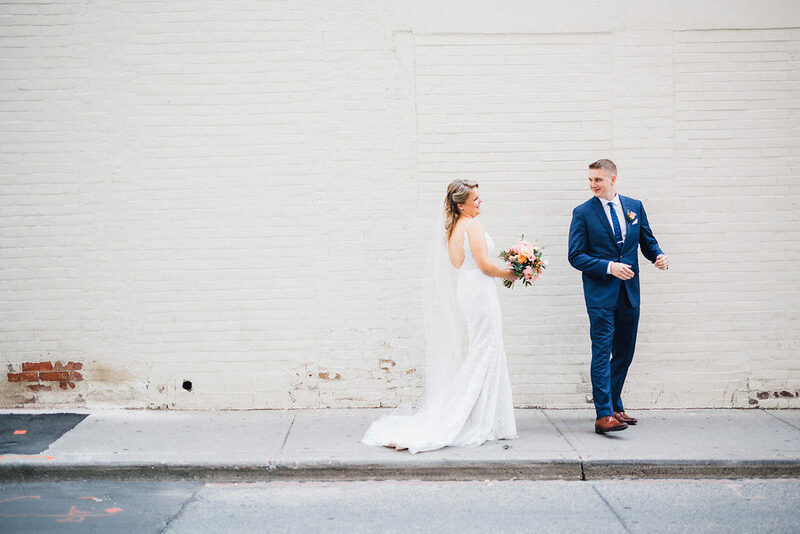 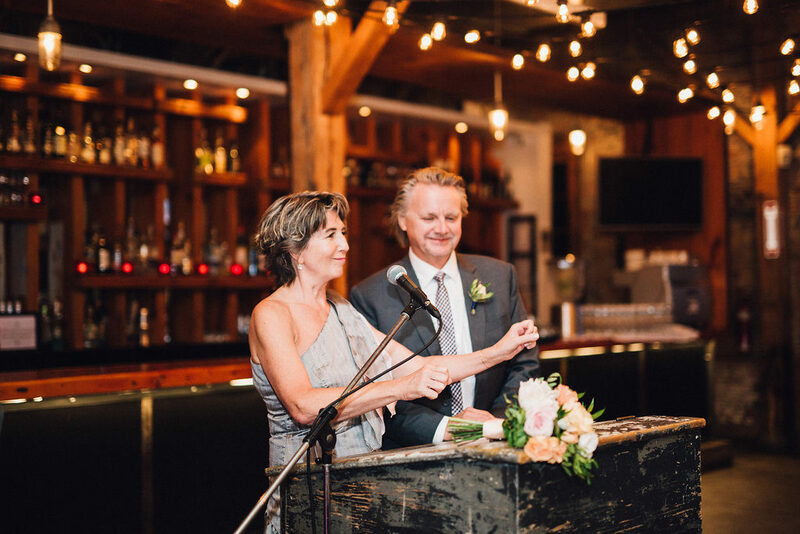 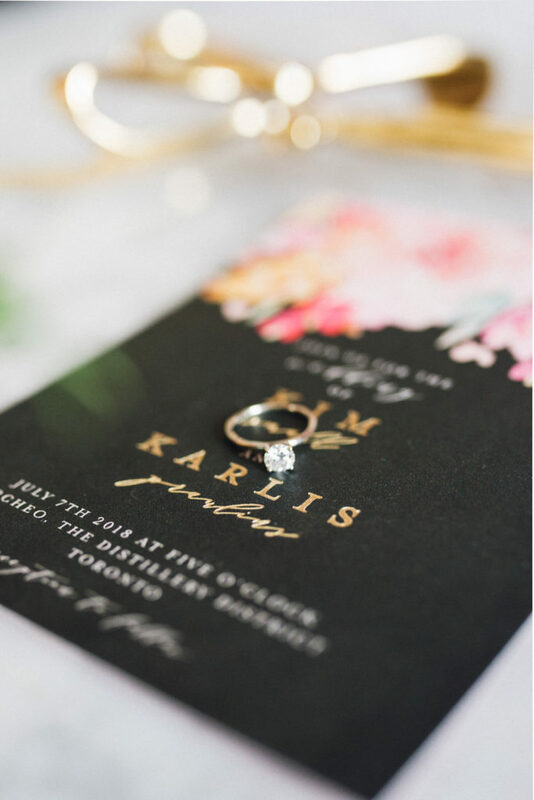 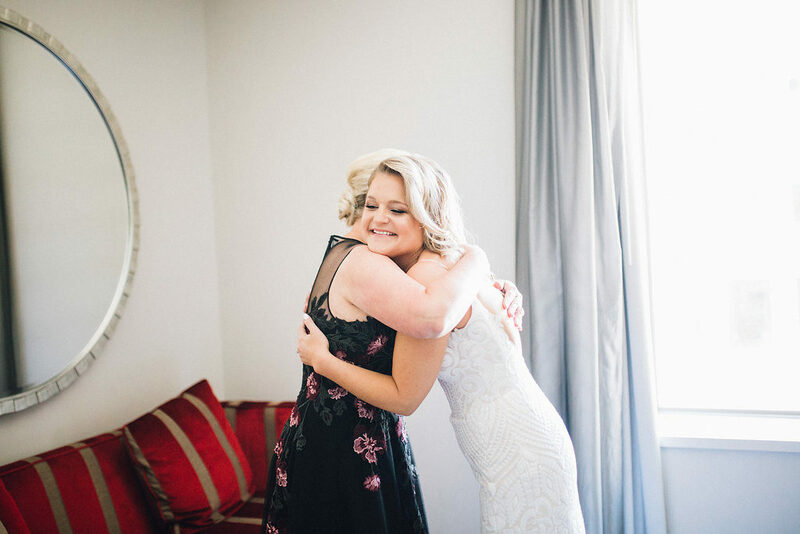 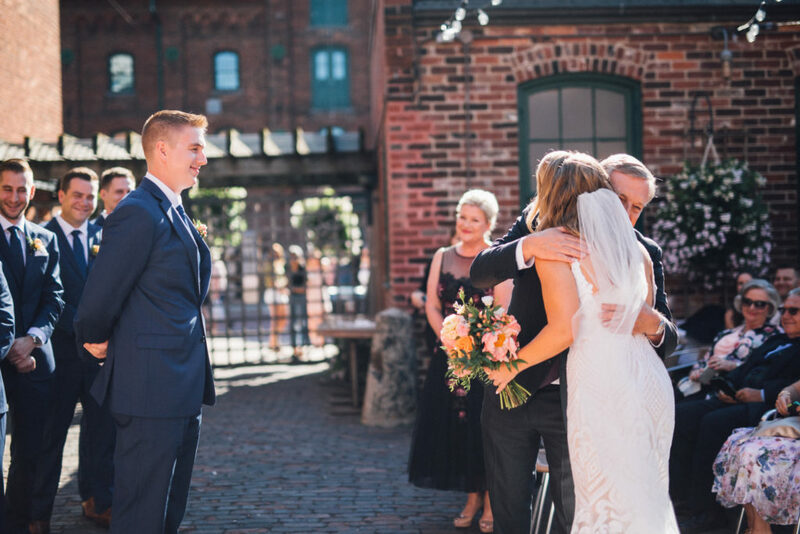 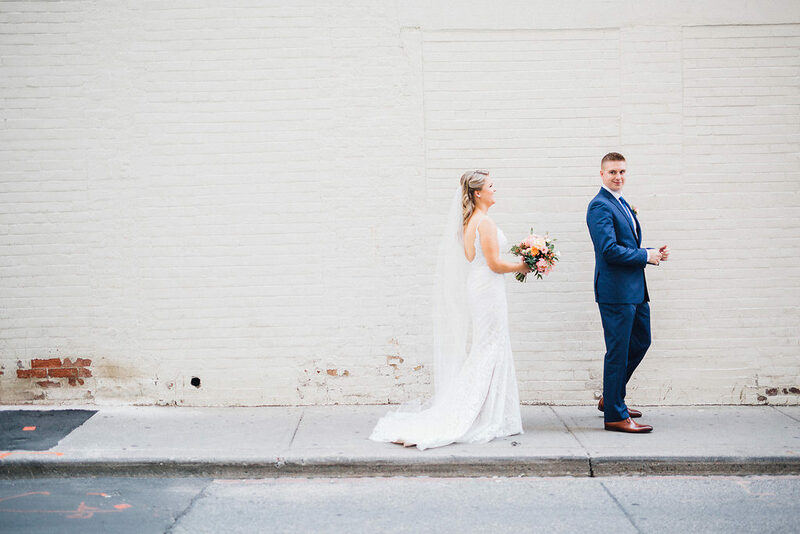 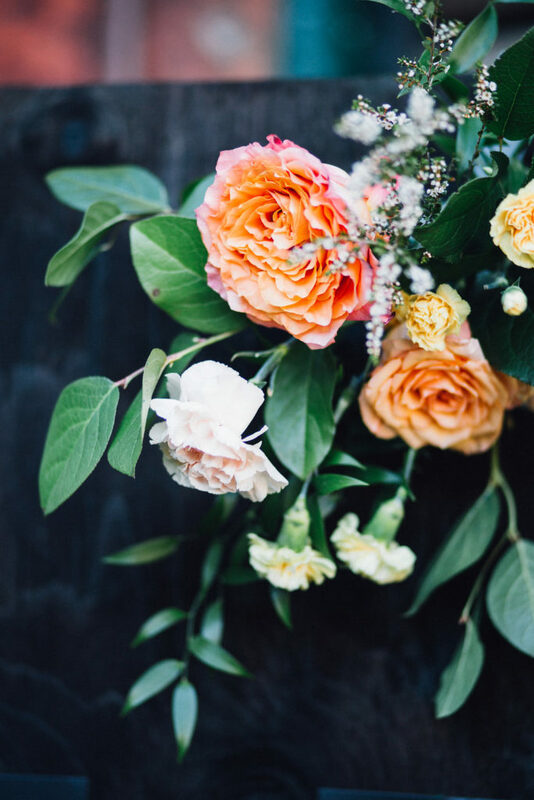 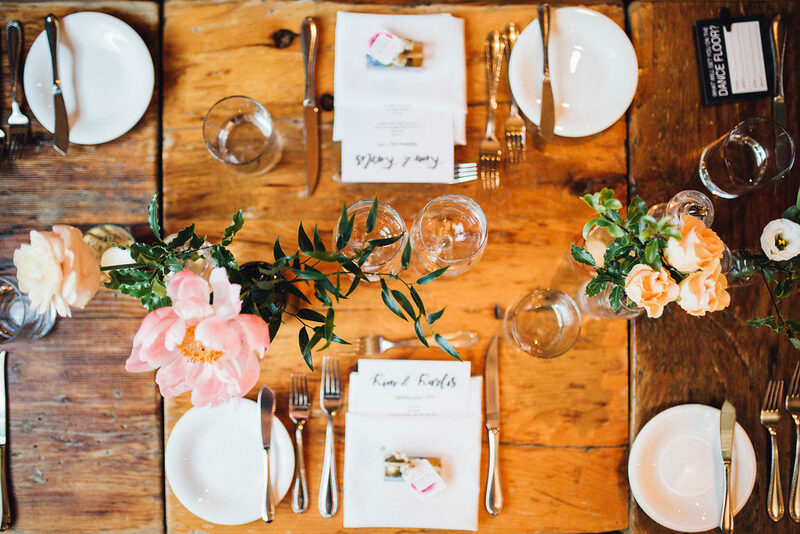 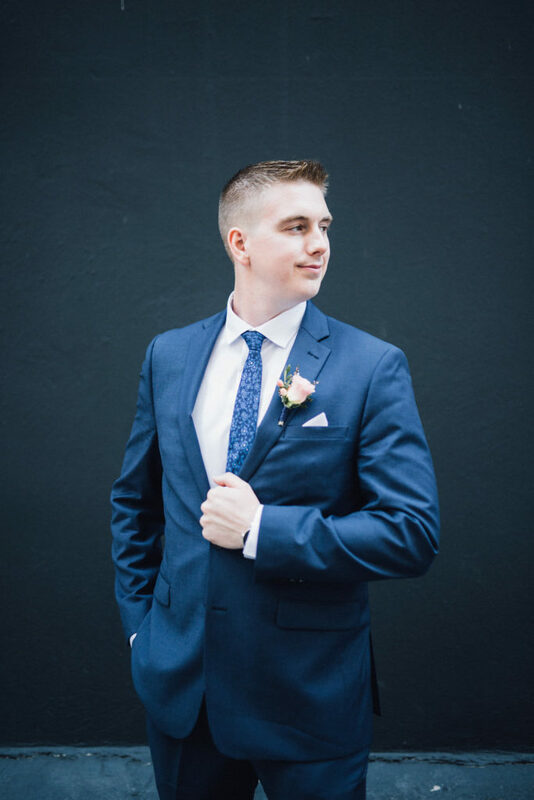 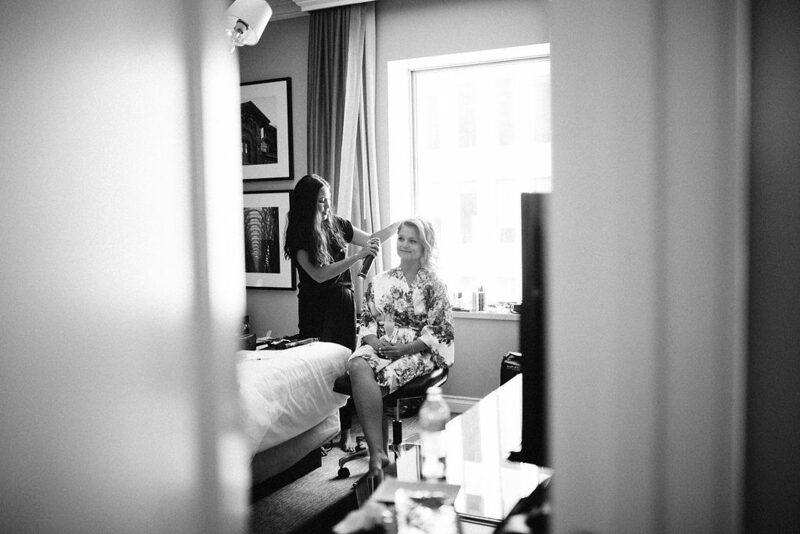 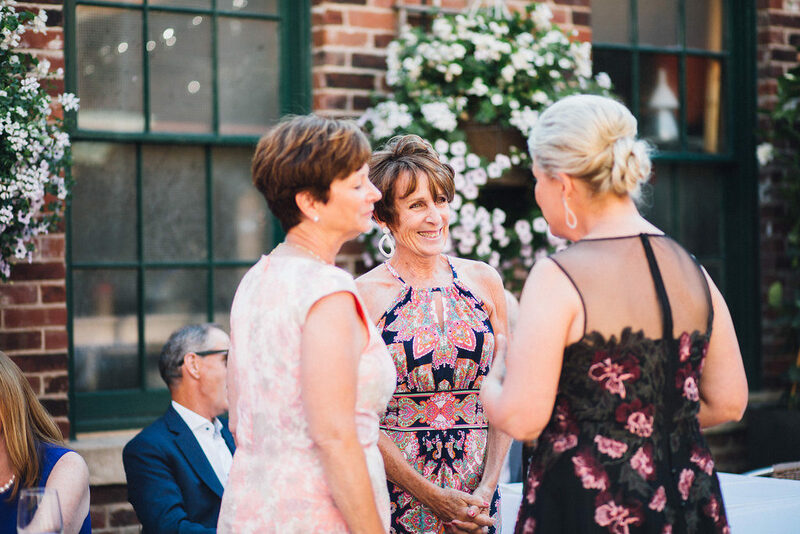 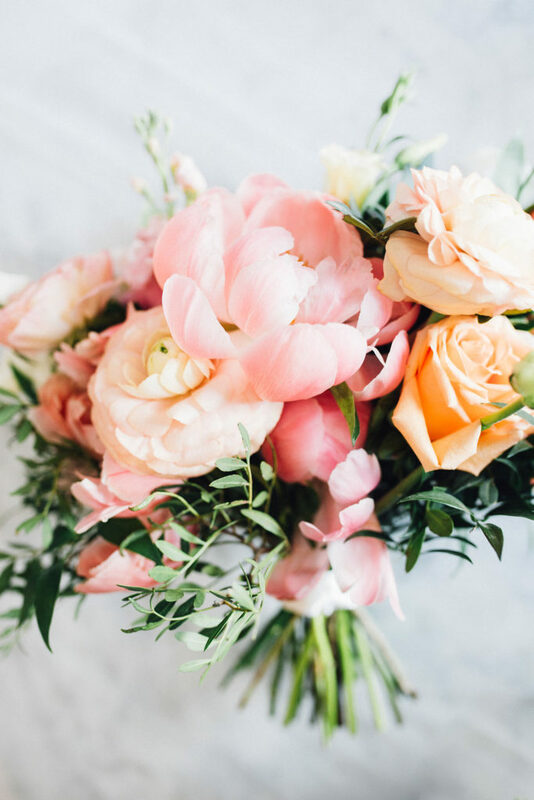 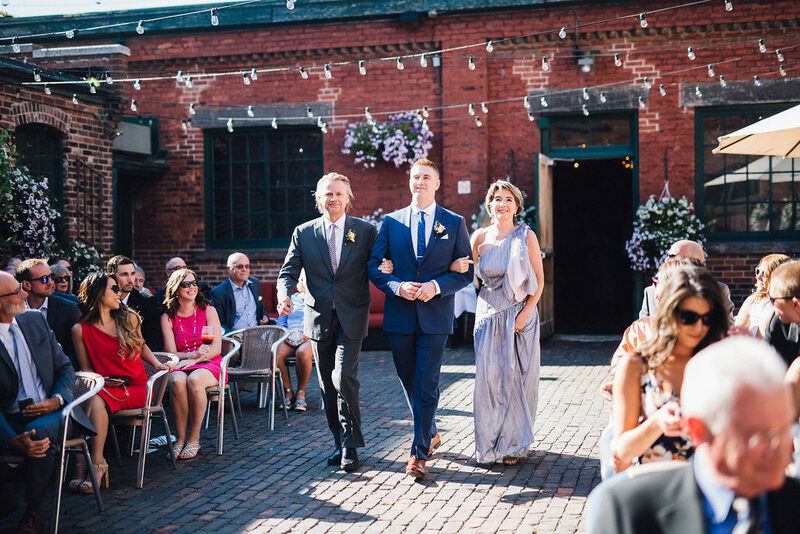 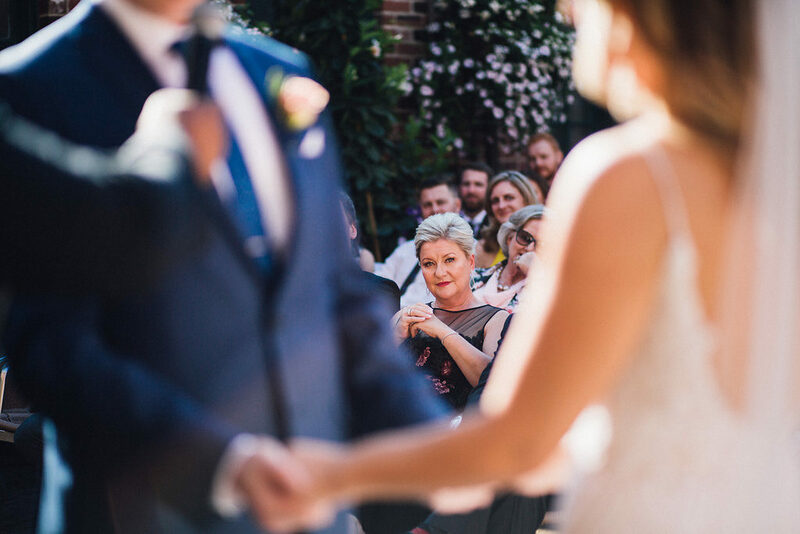 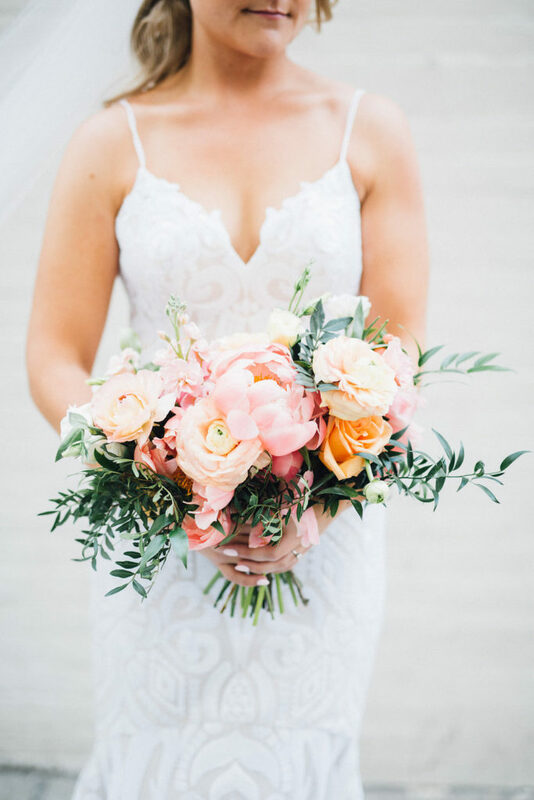 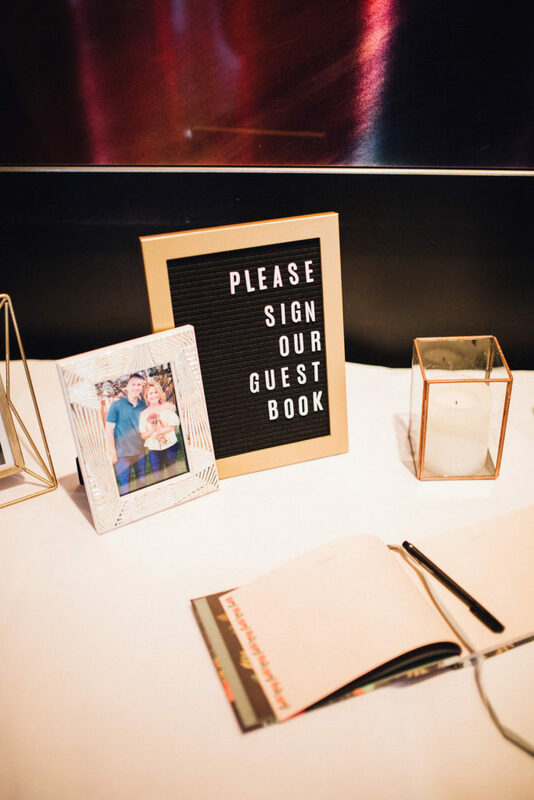 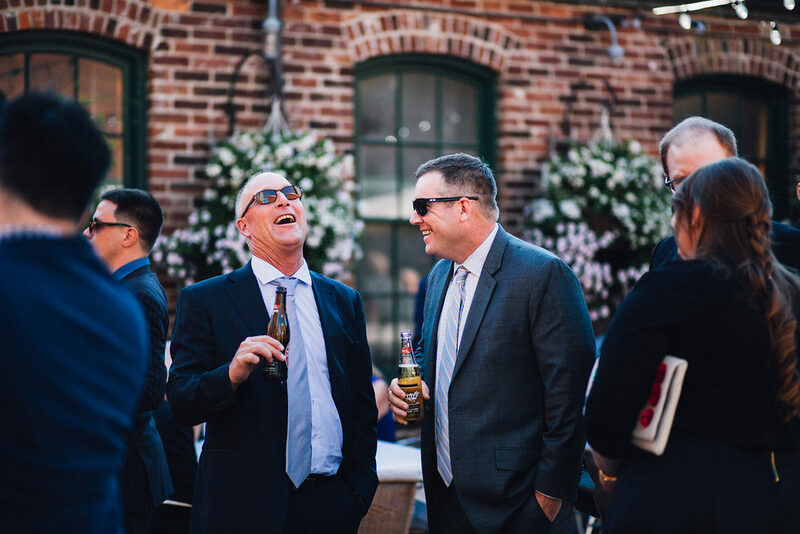 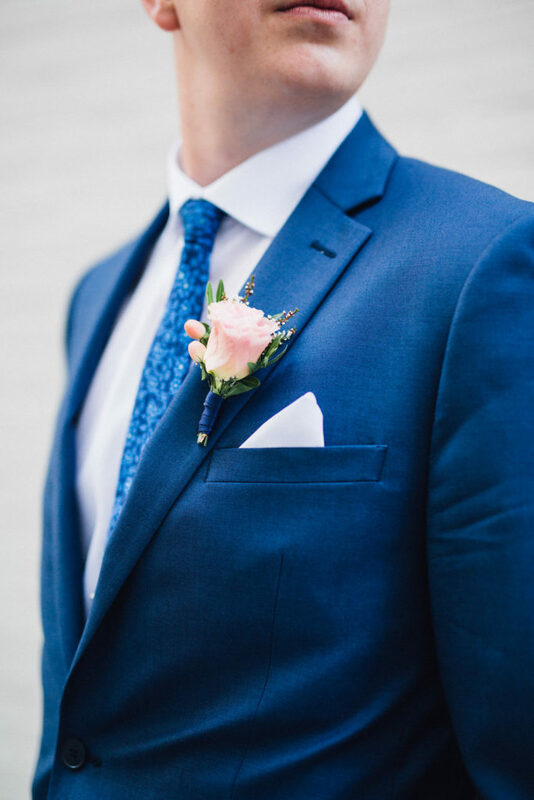 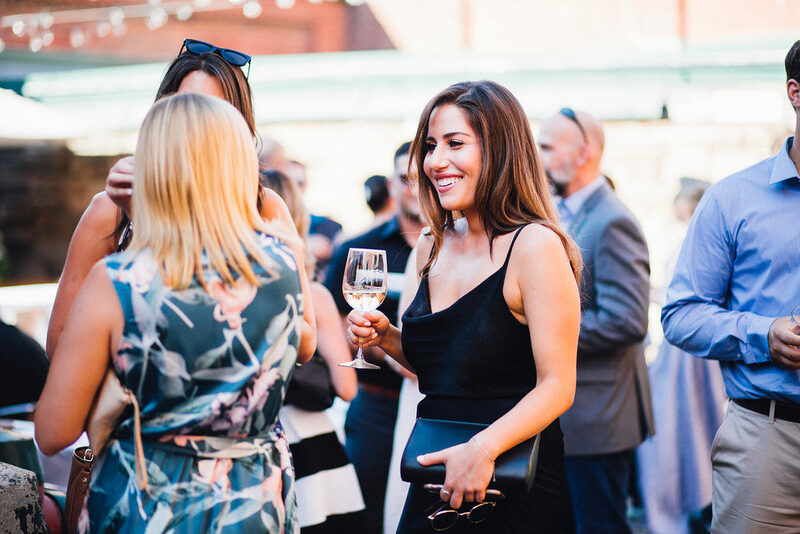 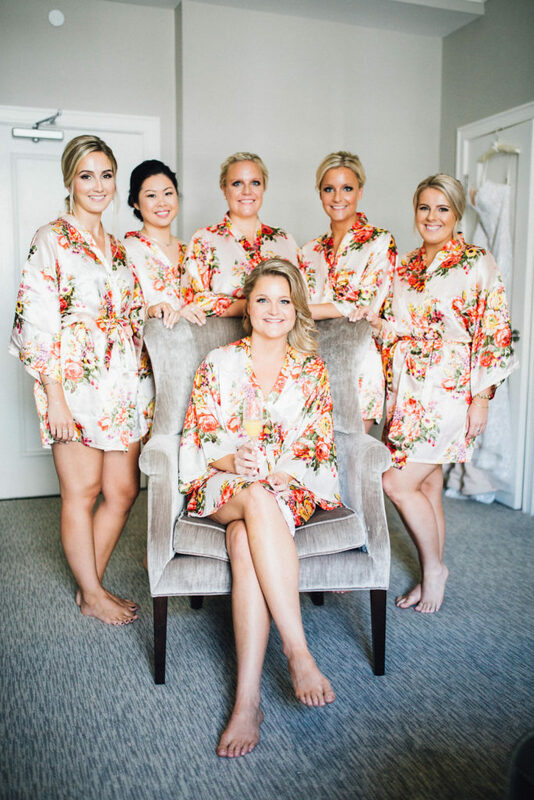 Of course, it was a bonus having some of my favourite vendors on board for Kim & Karlis’s wedding day including the amazing Bruna of Simply Lace Photography who beautifully captured the day (additional vendor credits below). 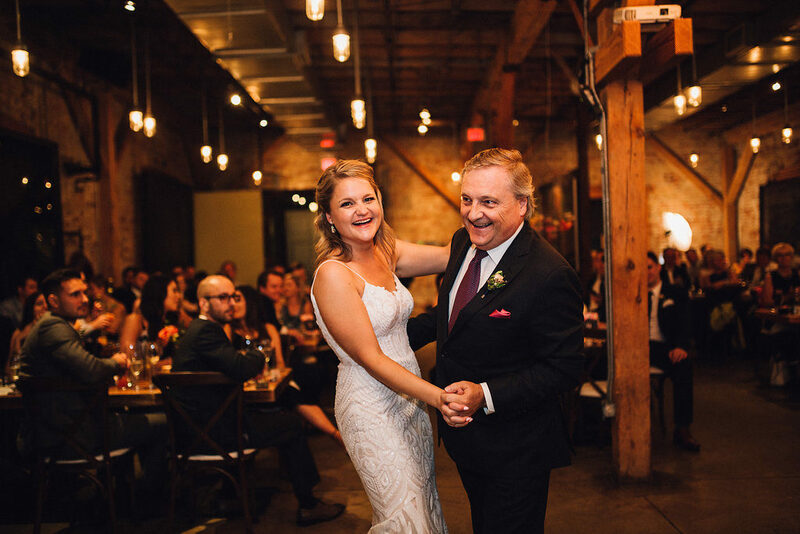 I am so excited to share the memories of this day, so without further ado it’s time to #meetthepraulins.